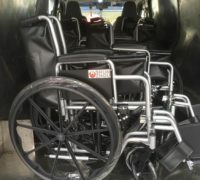 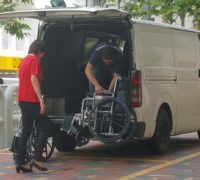 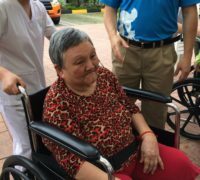 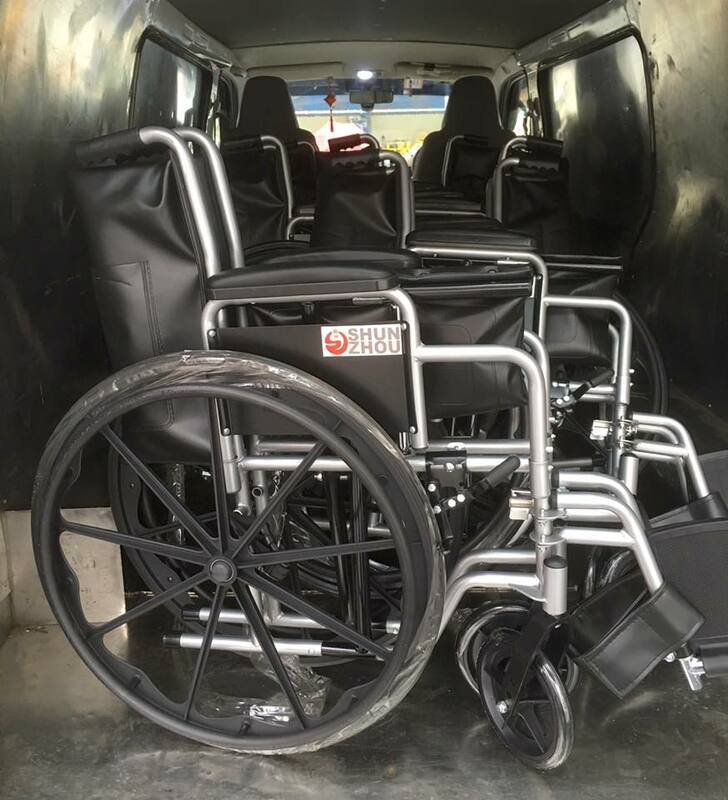 Our Project Wheelchair contributed 10 new wheelchairs to our local community center for their “Share A Wheelchair Program” to reach out and benefit needy residents whom have both mobility and financial difficulties to enhance their mobility without weighing further on their financial burdens. 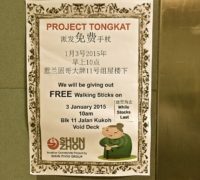 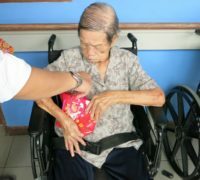 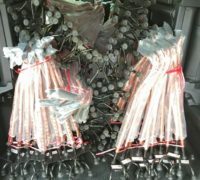 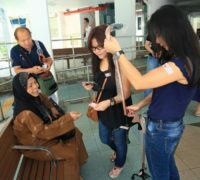 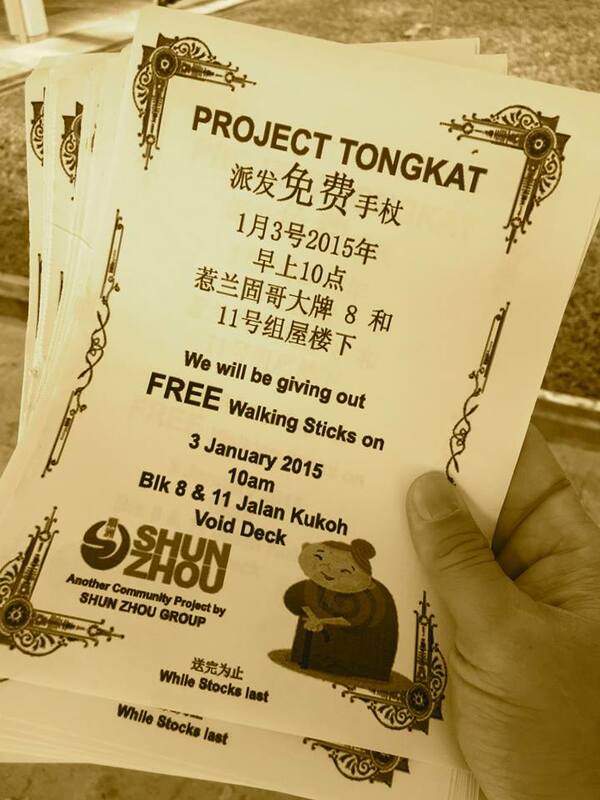 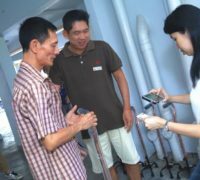 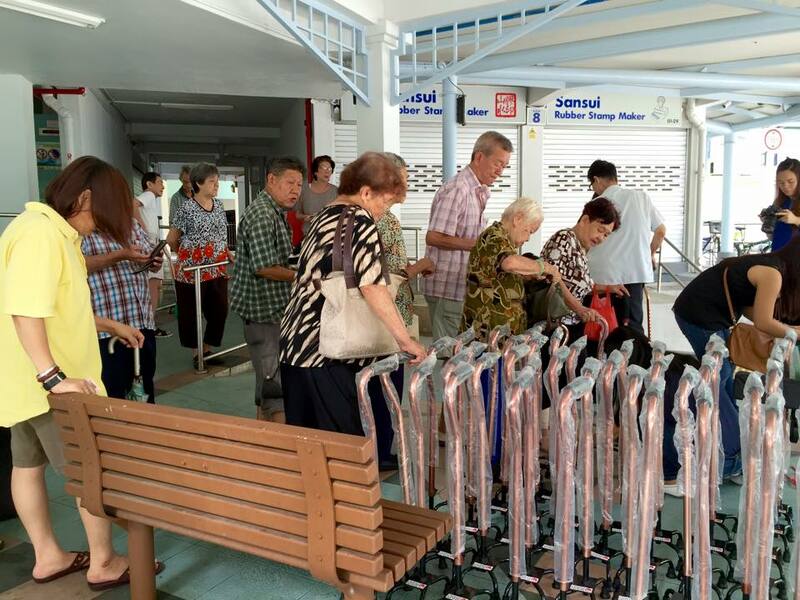 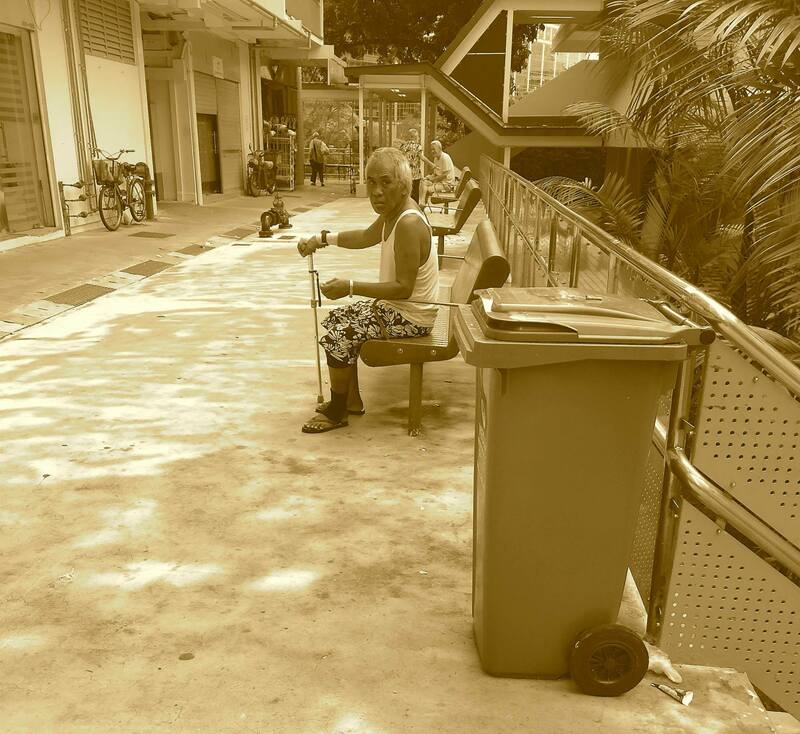 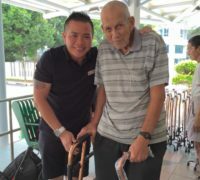 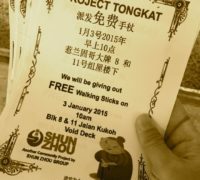 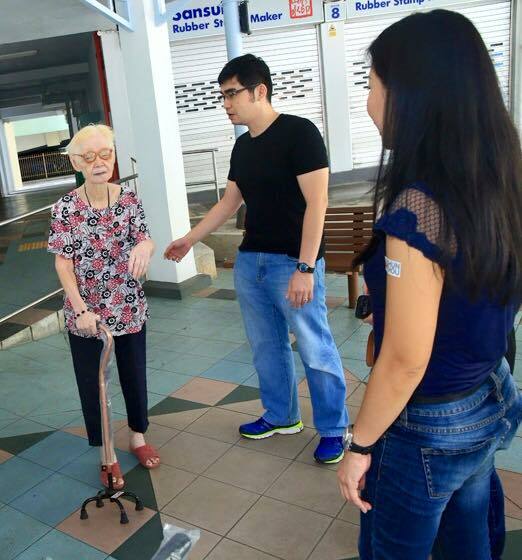 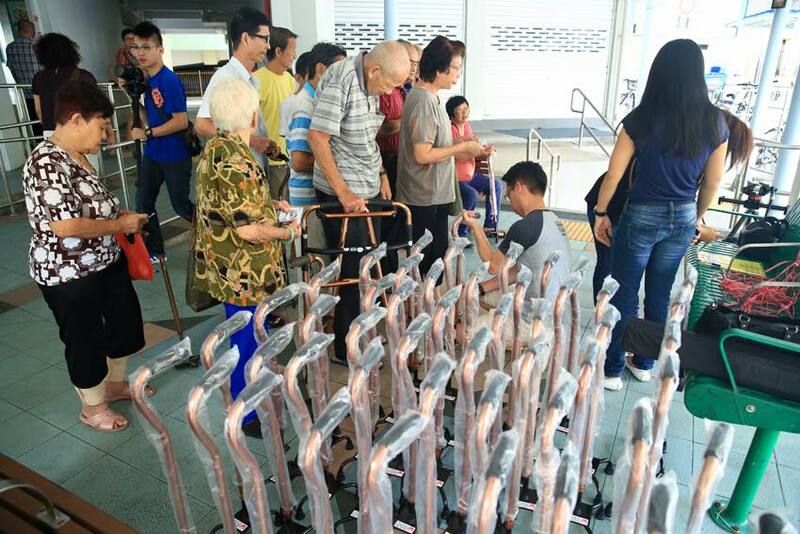 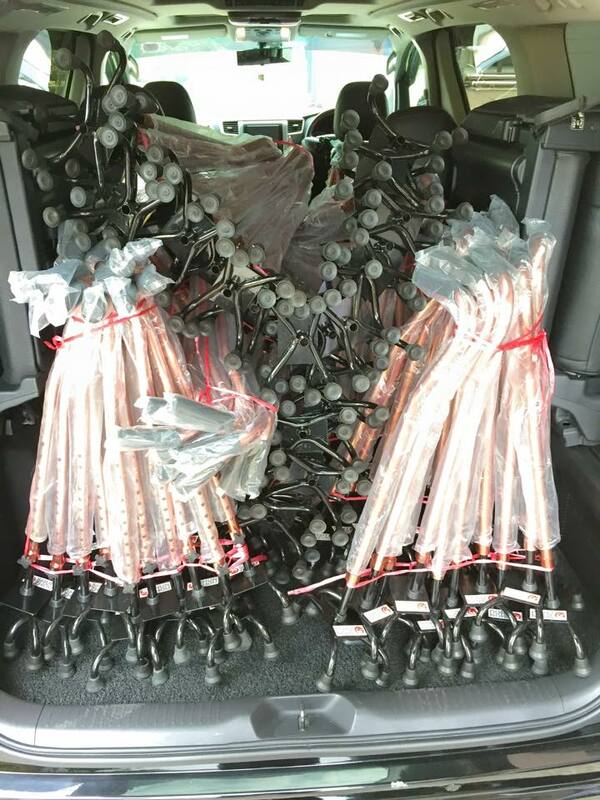 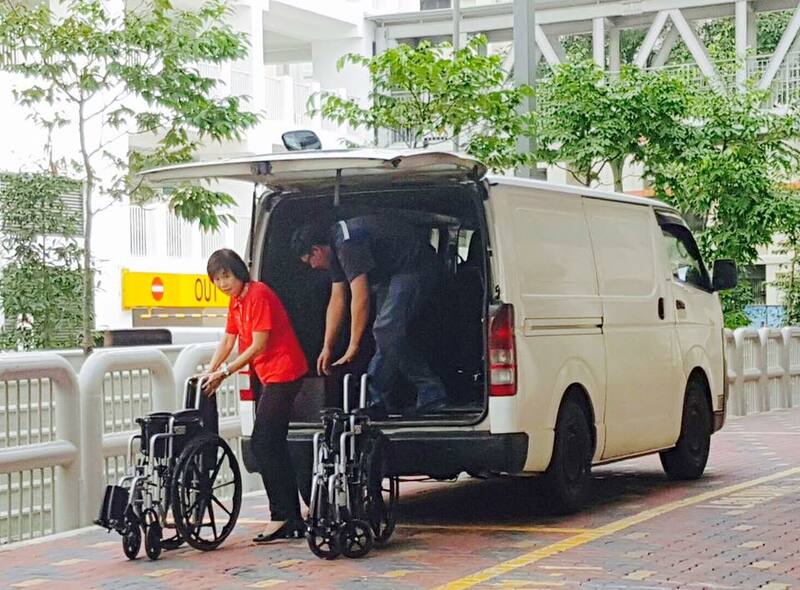 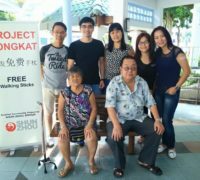 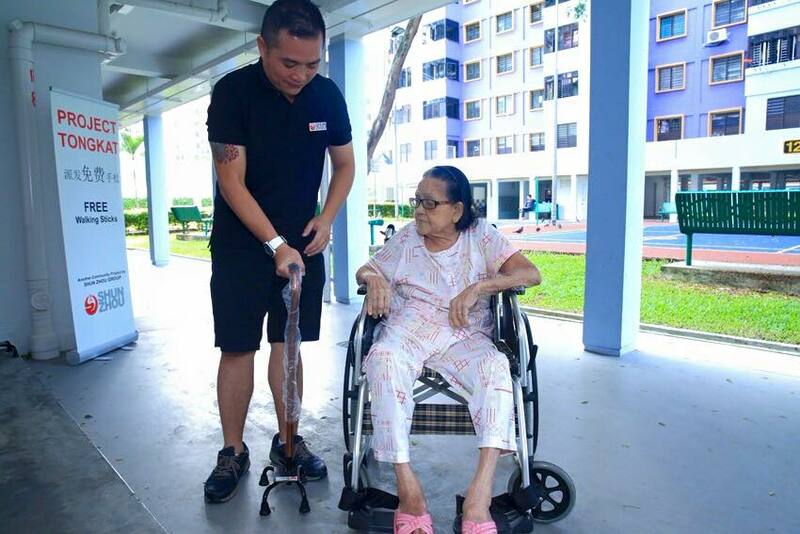 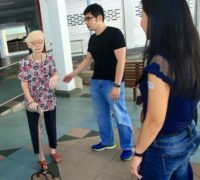 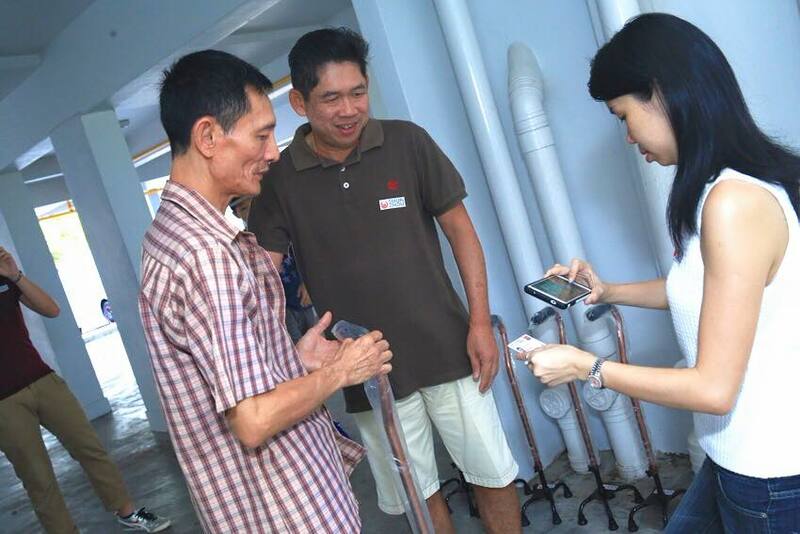 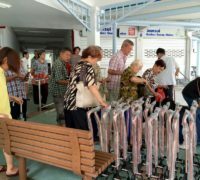 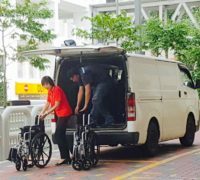 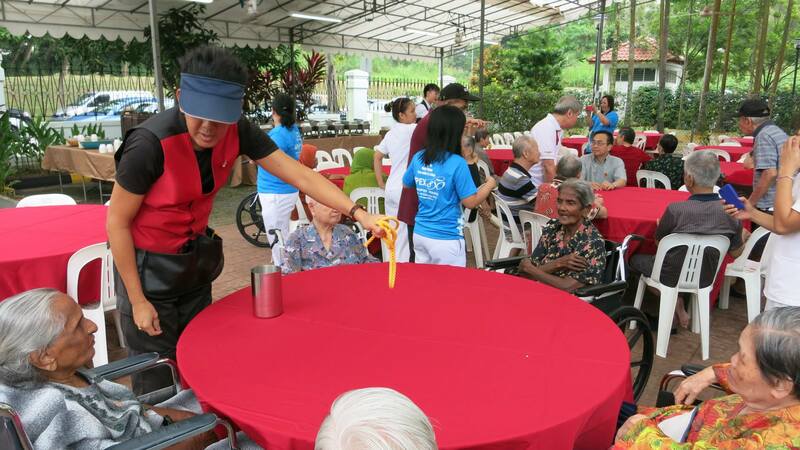 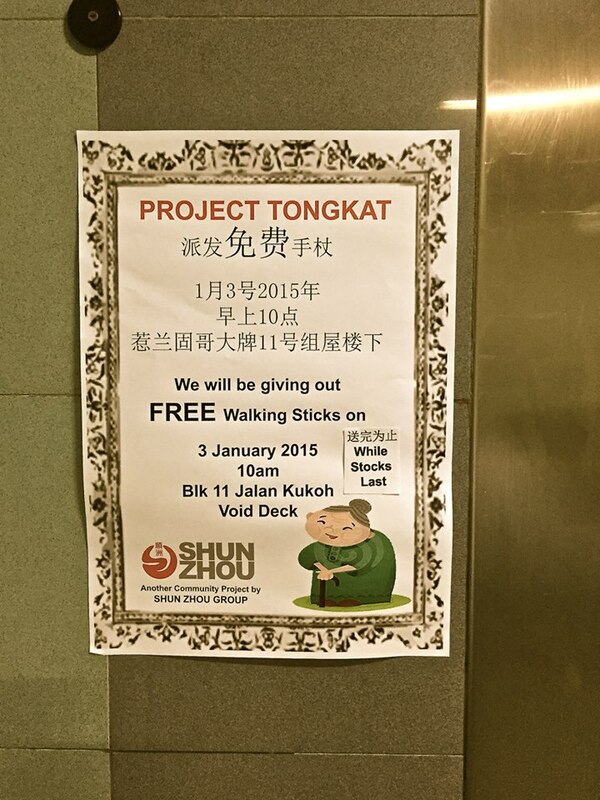 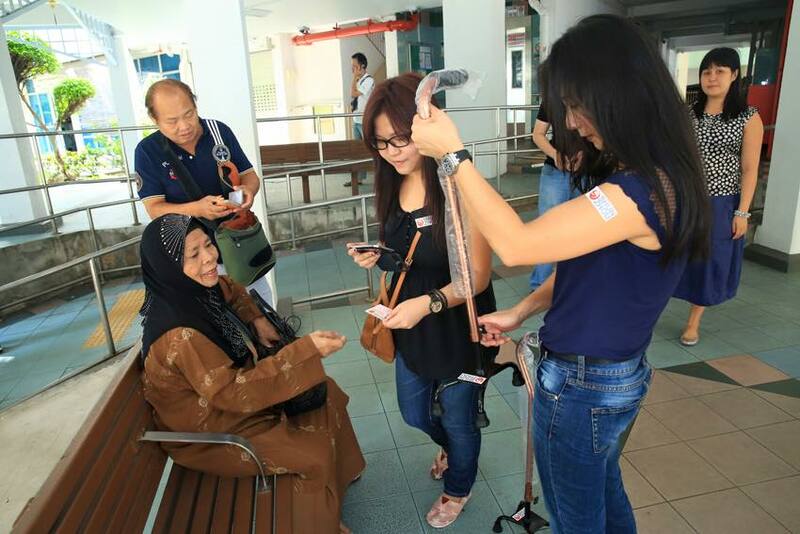 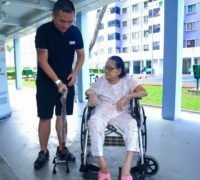 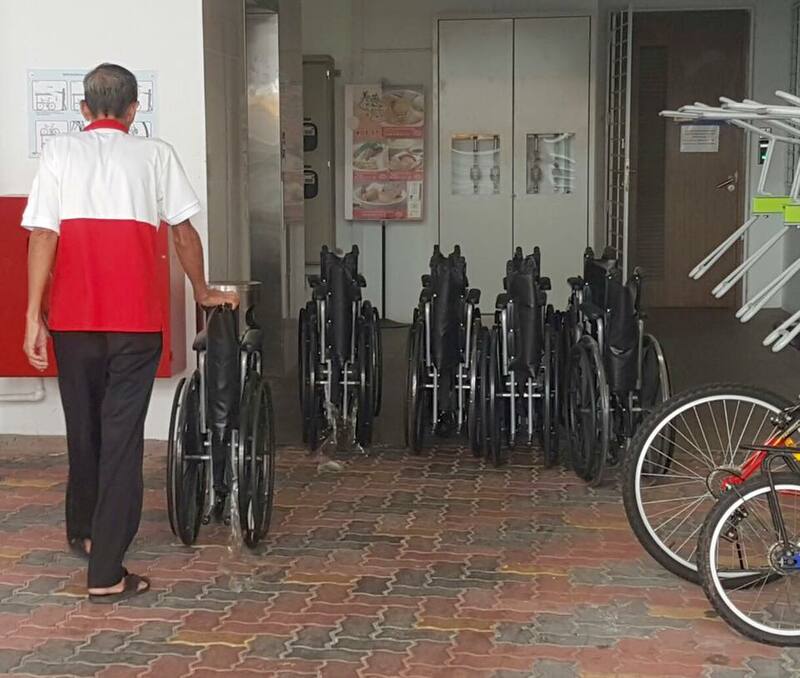 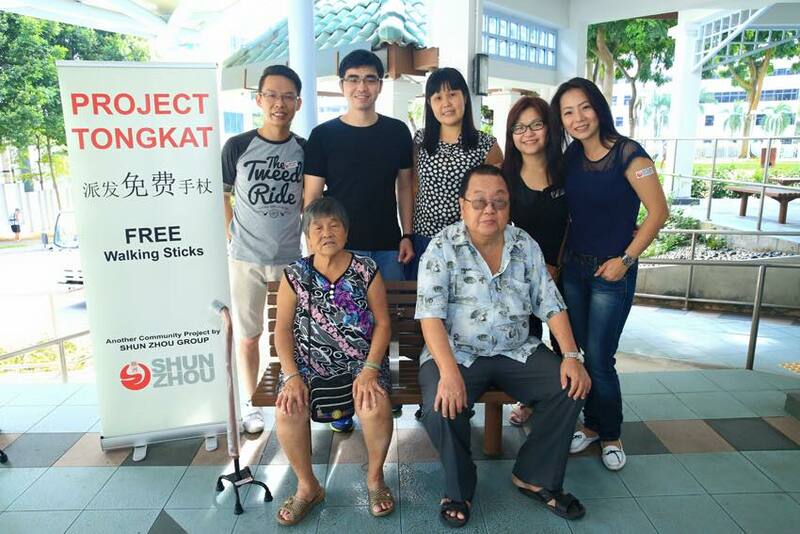 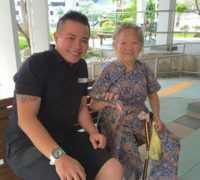 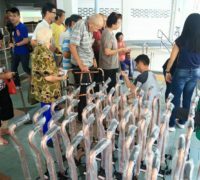 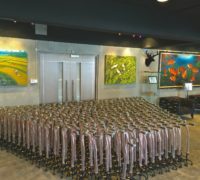 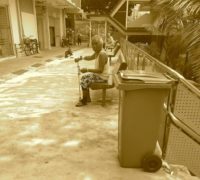 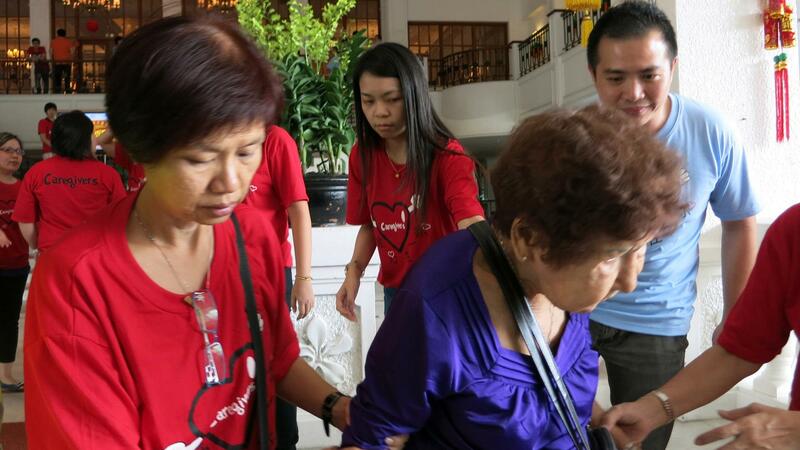 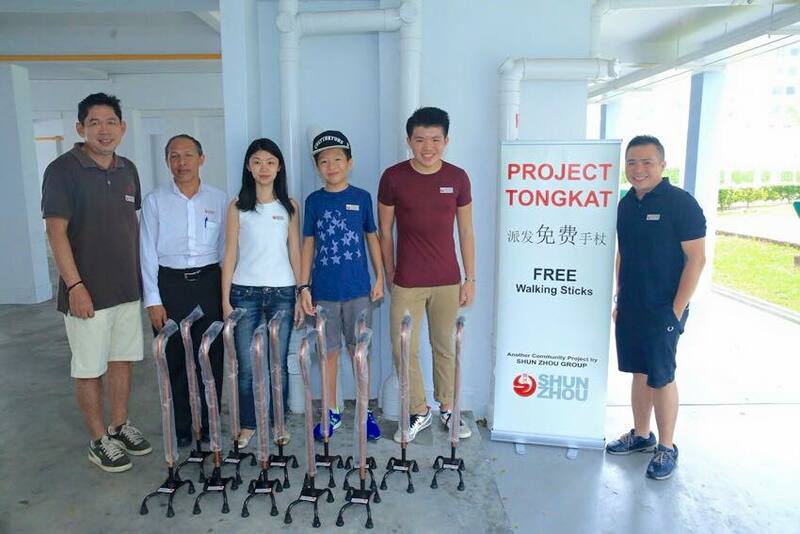 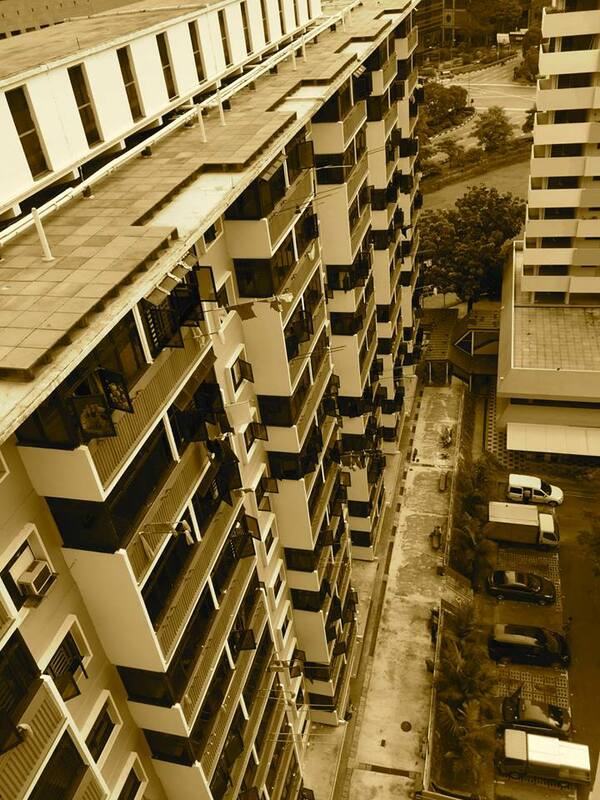 Project Tongkat will distribute walking sticks for free to the people that do not have the means to afford them or are using old walking sticks that are damaged/repaired and this project will enable the users and encourage them to walk again and also reduce the risk of falling down. 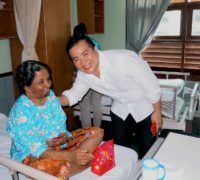 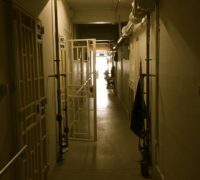 New glimpse of hope, new glimpse of Life! 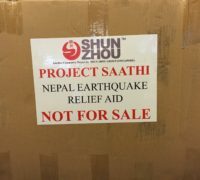 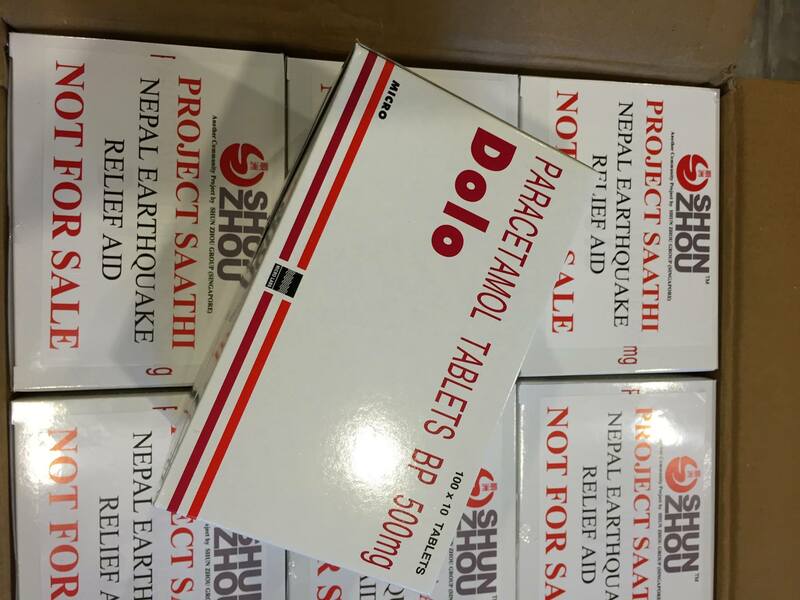 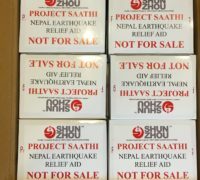 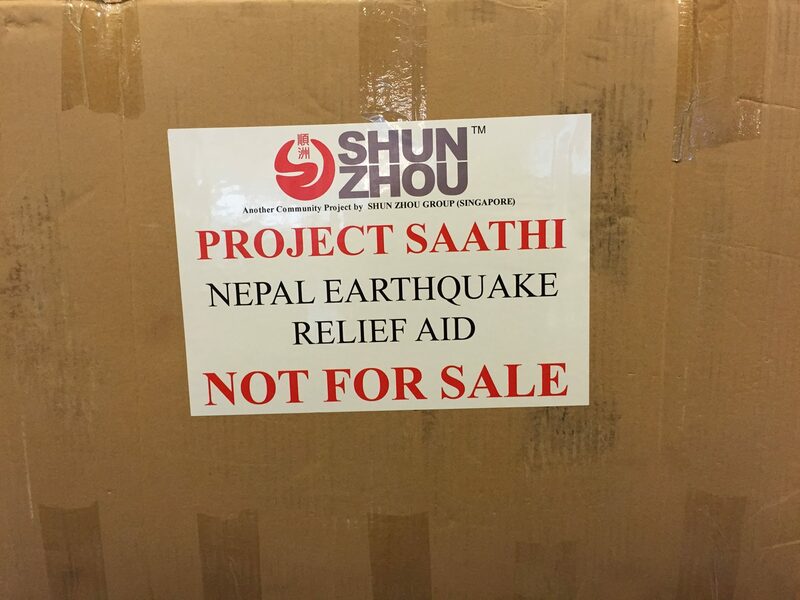 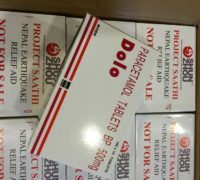 Project Saathi was initiated the moment we learnt that Nepal was struck with one of the worst earthquake in history causing more than 10,000 deaths and millions homeless. 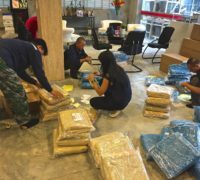 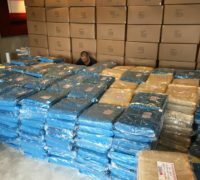 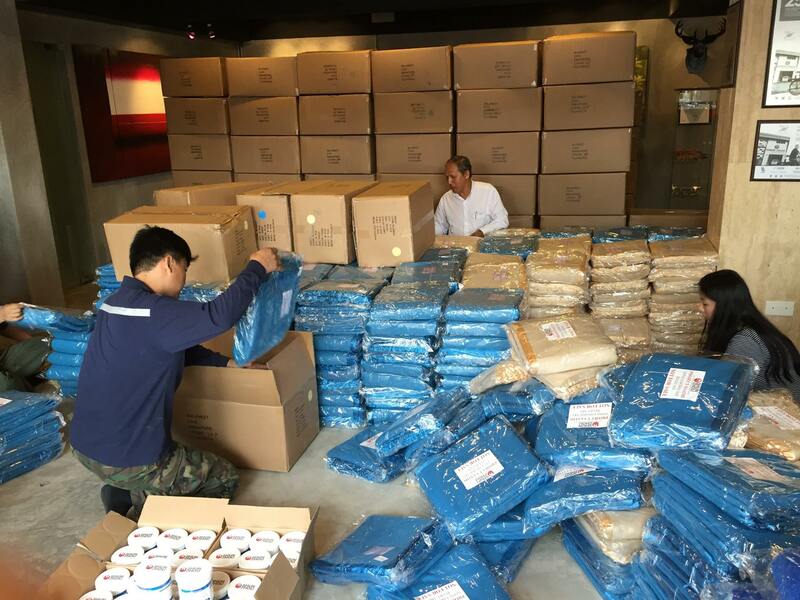 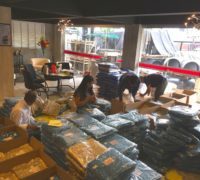 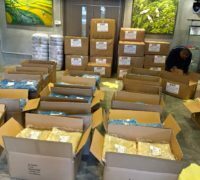 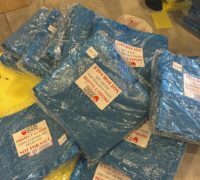 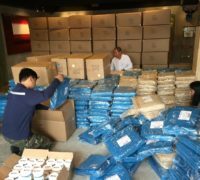 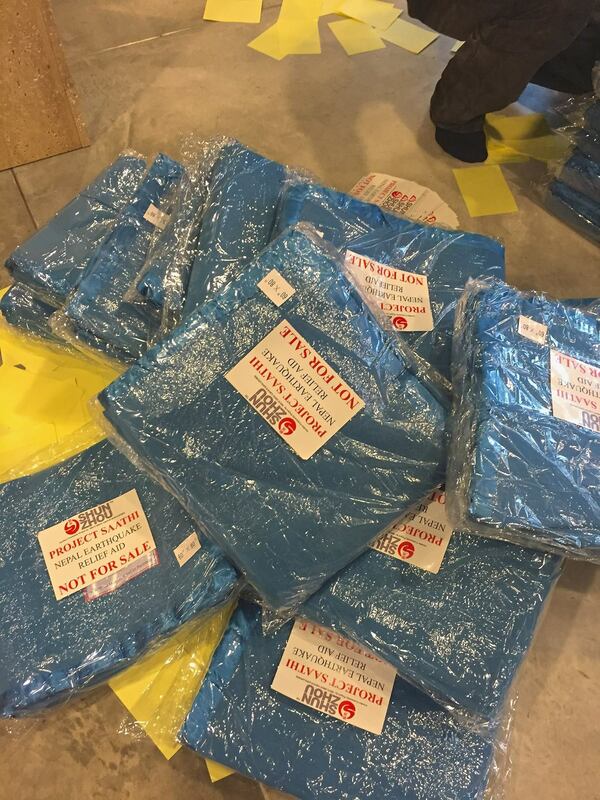 More than 1300 thick blankets, 700 towels and medicine and 1000pcs of zinc roofing sheets and nails were consolidated, ready to be sent to Nepal to help the people and rebuild their homes. 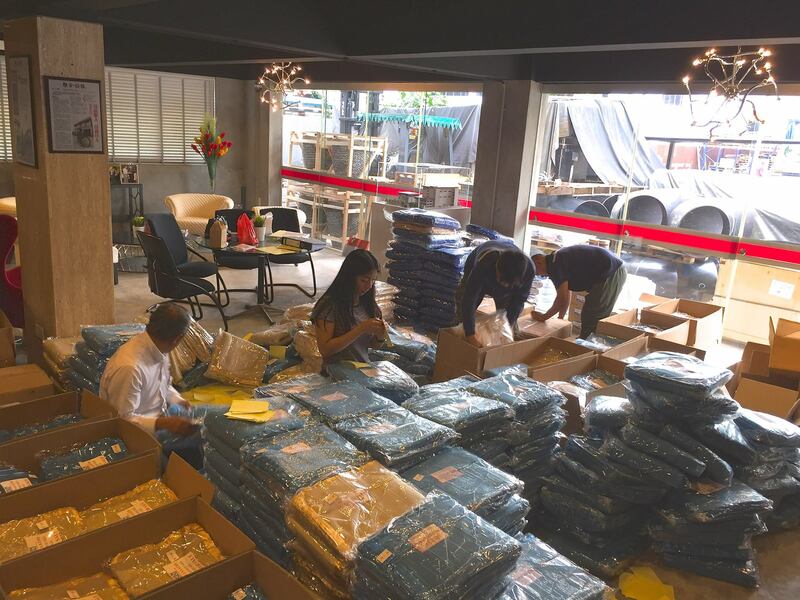 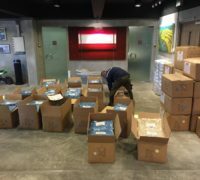 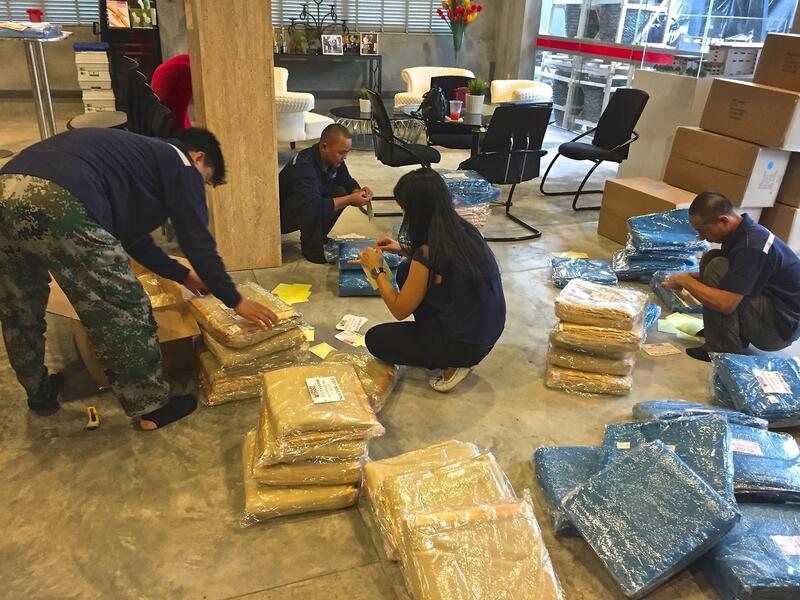 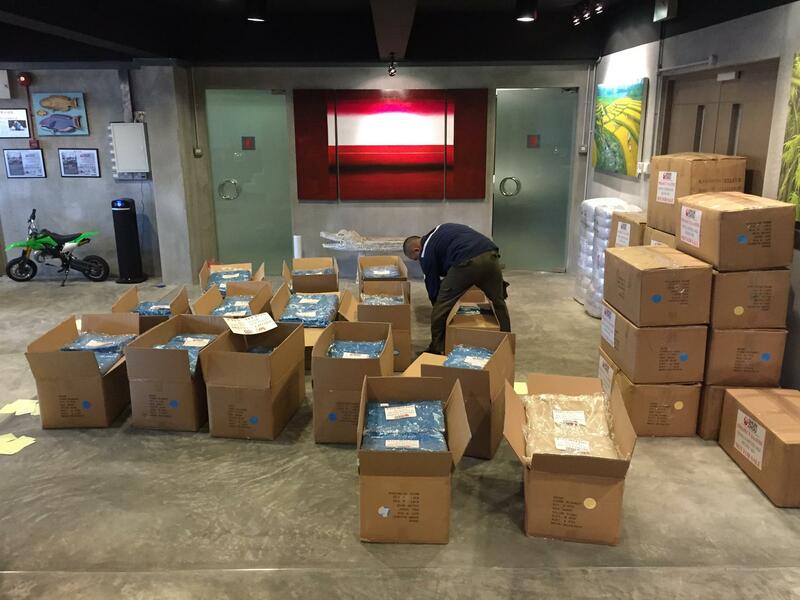 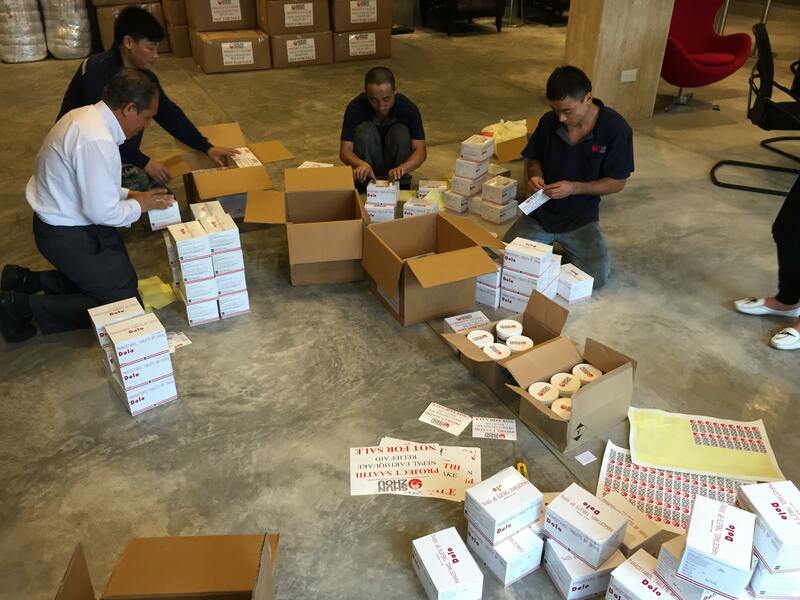 For 3 days our staff volunteered and we packed our Love into those cartons boxes and send our Love to the people of Nepal to let know that they’re not forsaken. 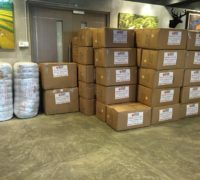 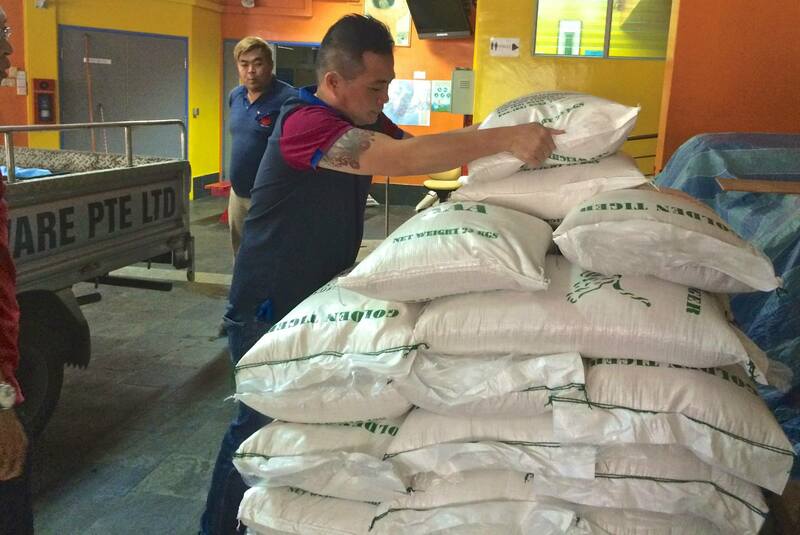 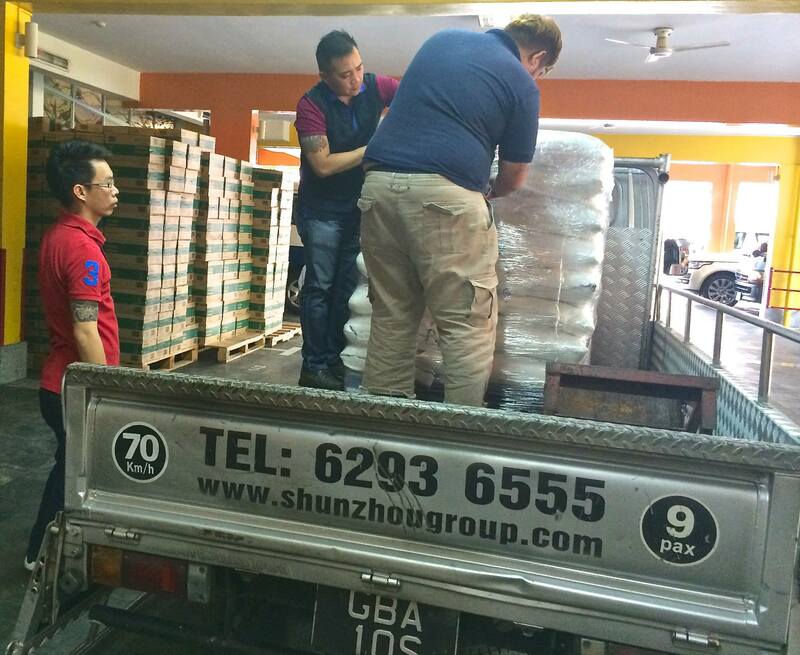 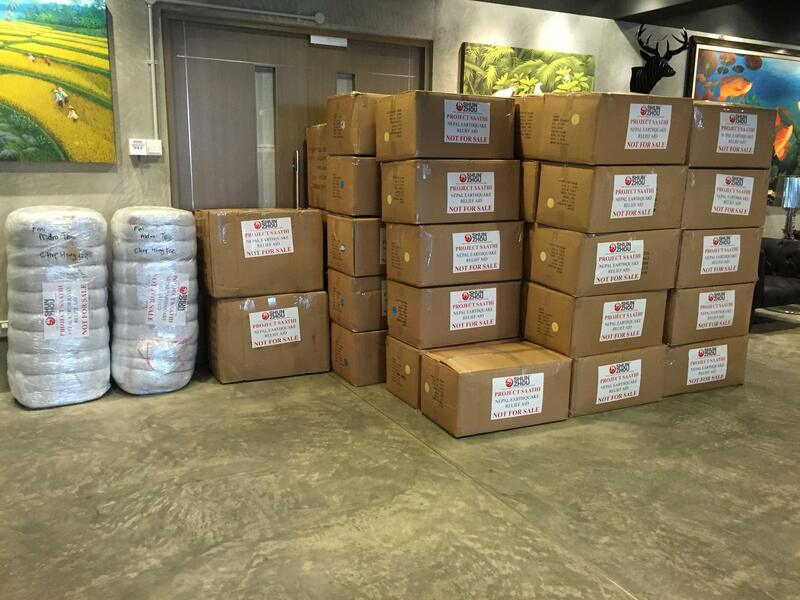 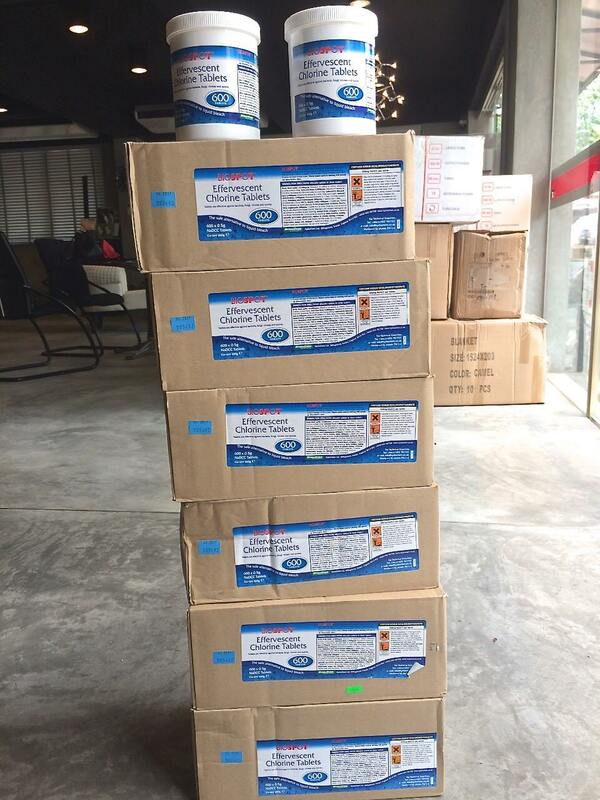 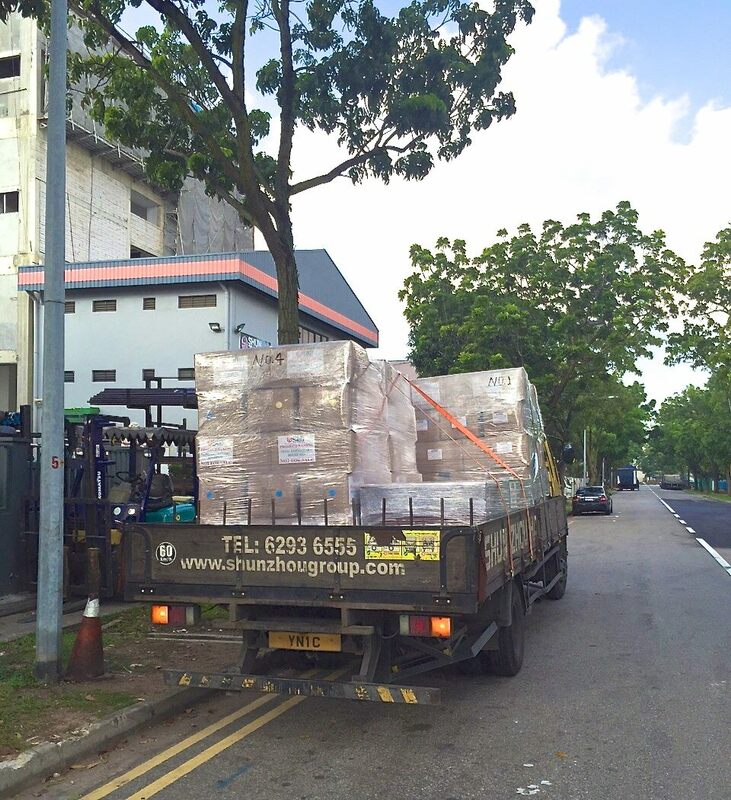 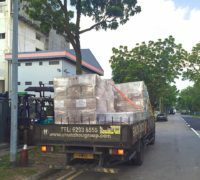 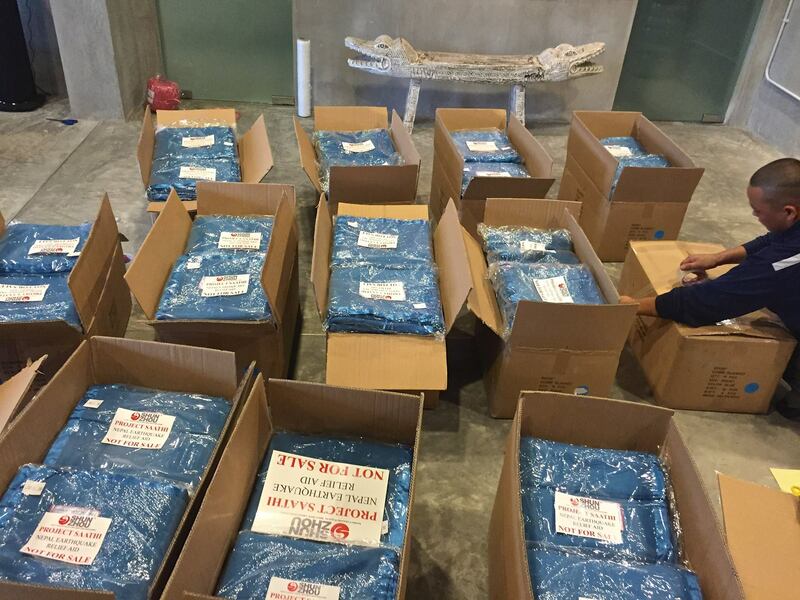 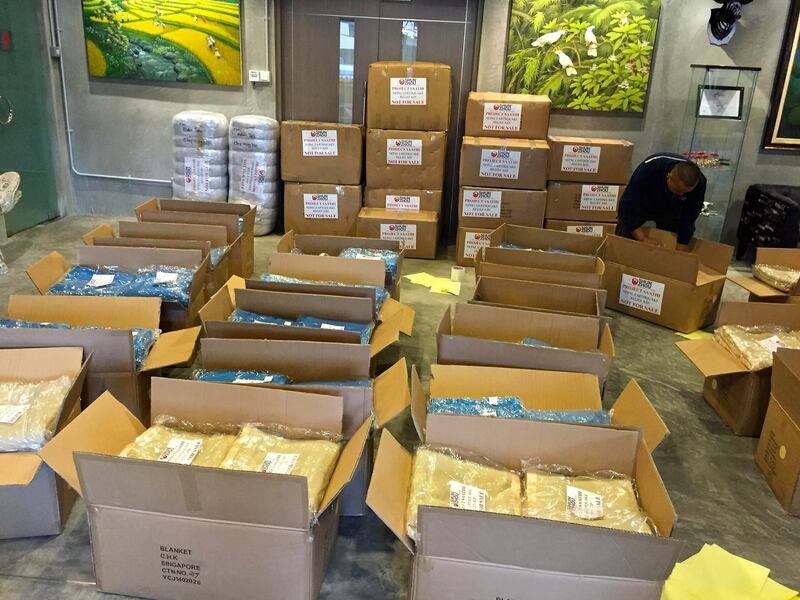 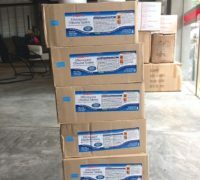 We now have more than 11pallets of relief aid to be send over by Air and Sea. 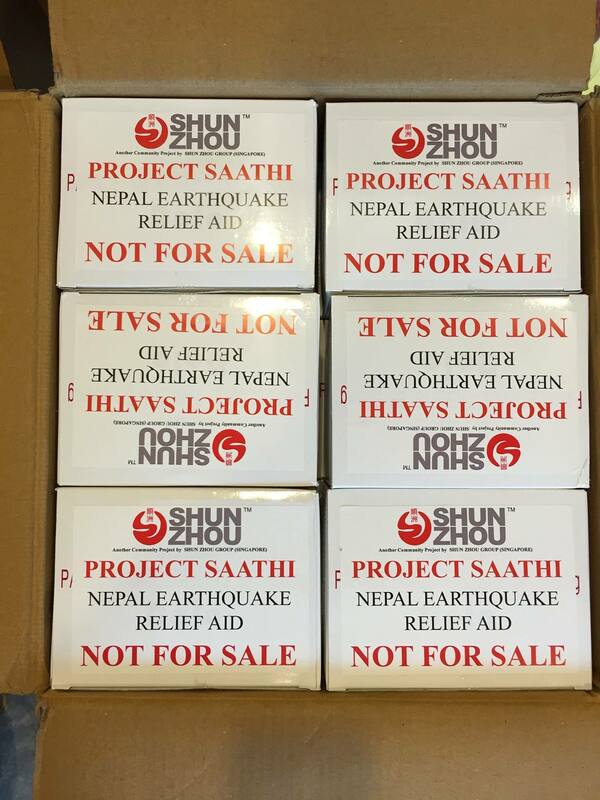 Nepali, Stay strong our love is on their way! 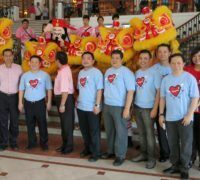 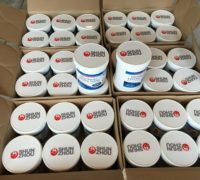 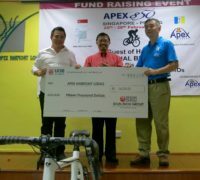 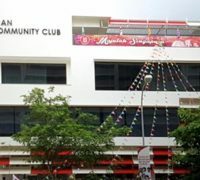 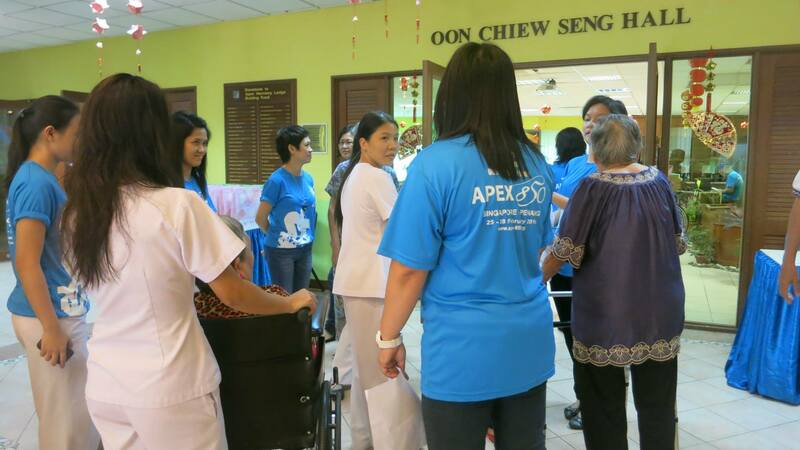 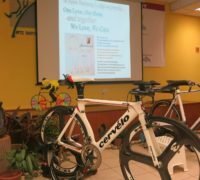 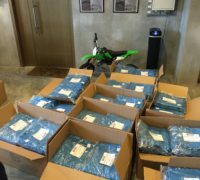 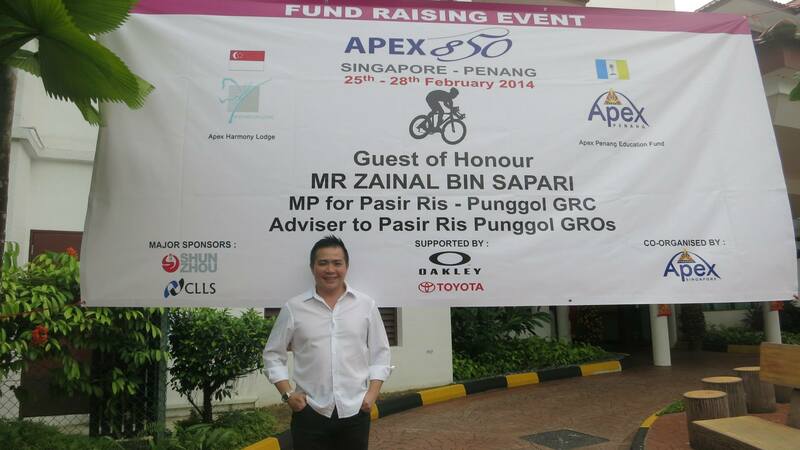 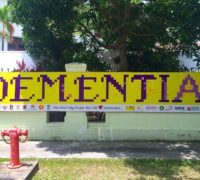 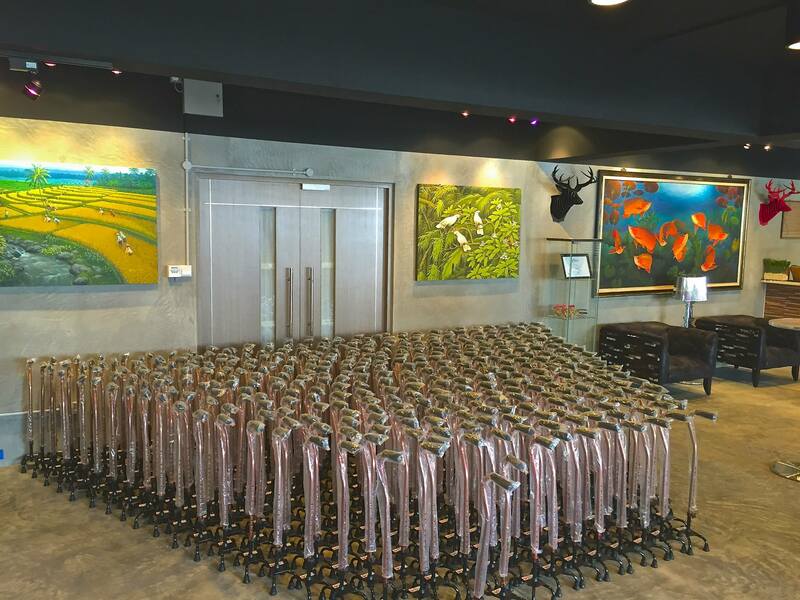 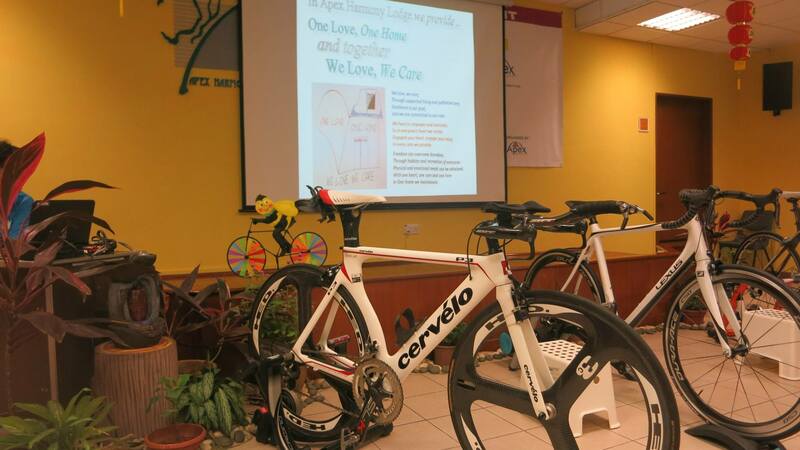 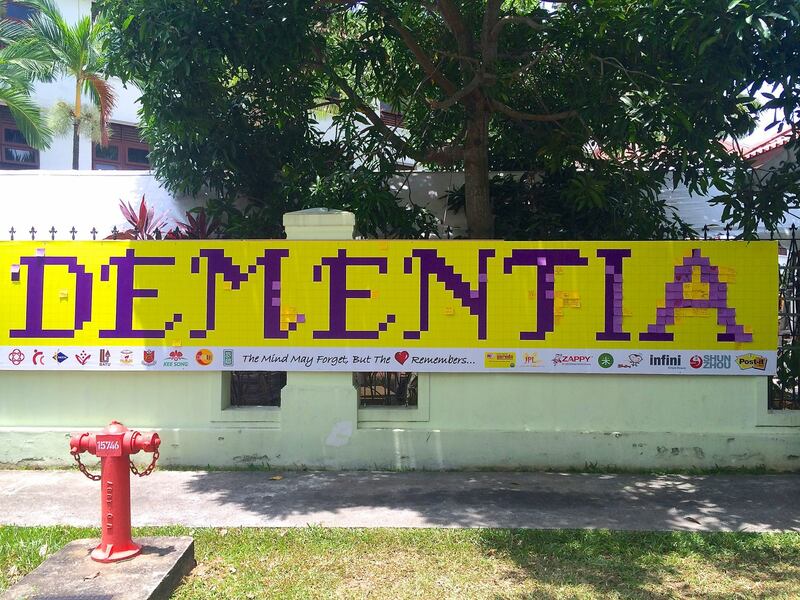 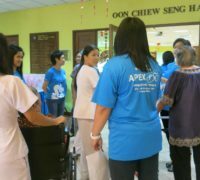 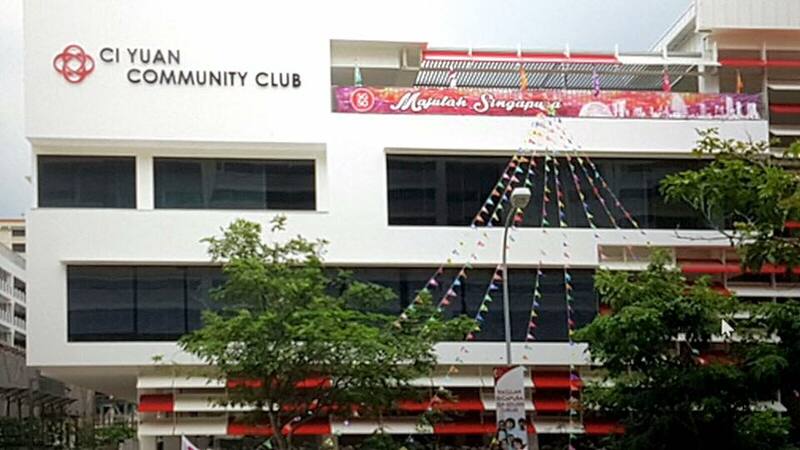 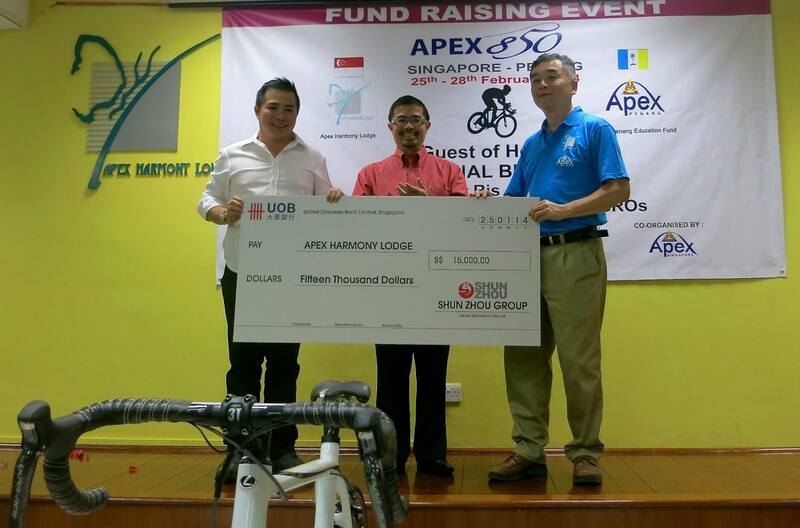 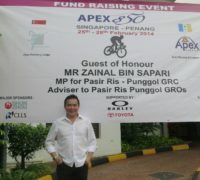 Shun Zhou Group is very fortunate to be one of the major sponsor this year for Apex 850, a fund raising activity put together by 29 cyclists that will ride from Singapore to Penang to raise funds the the dementia patients. 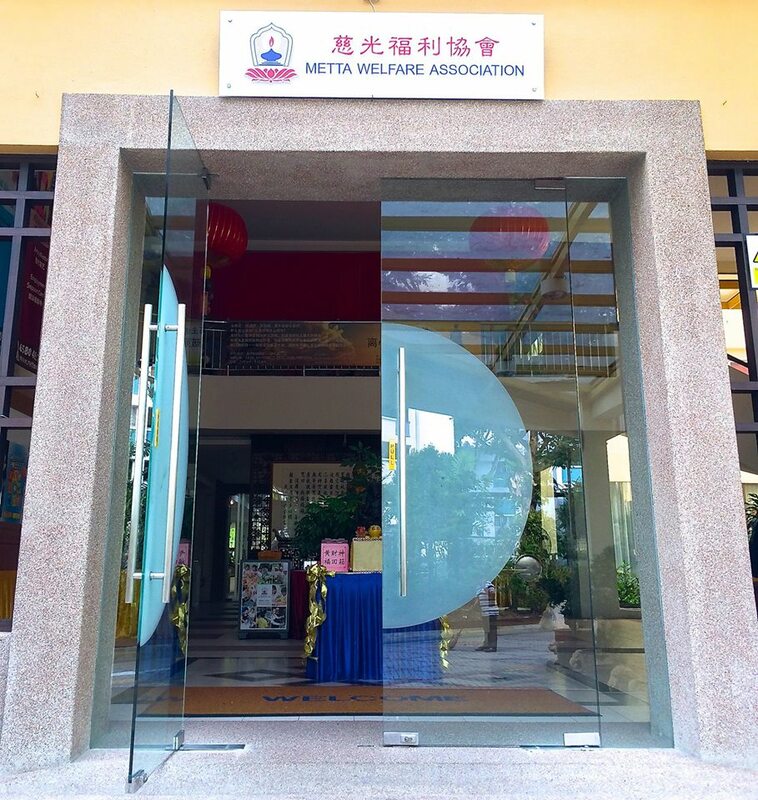 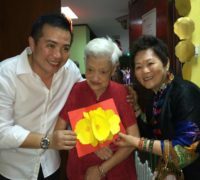 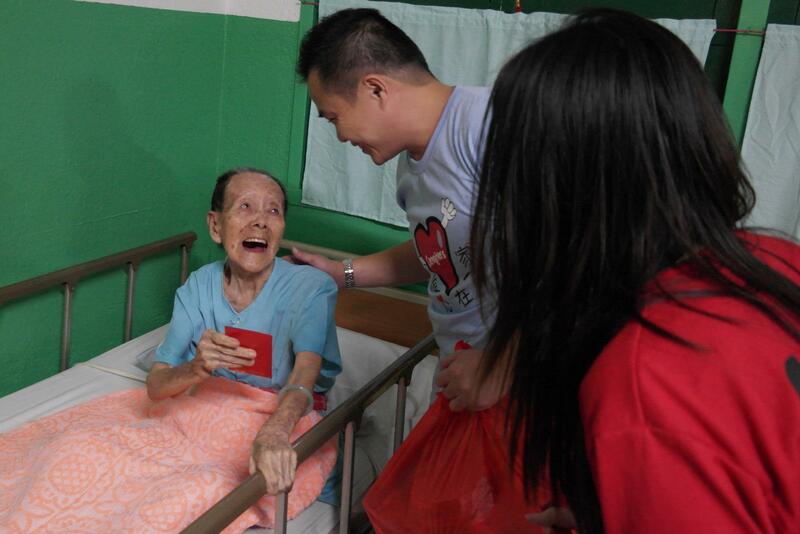 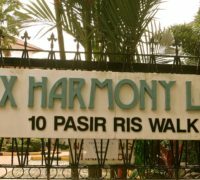 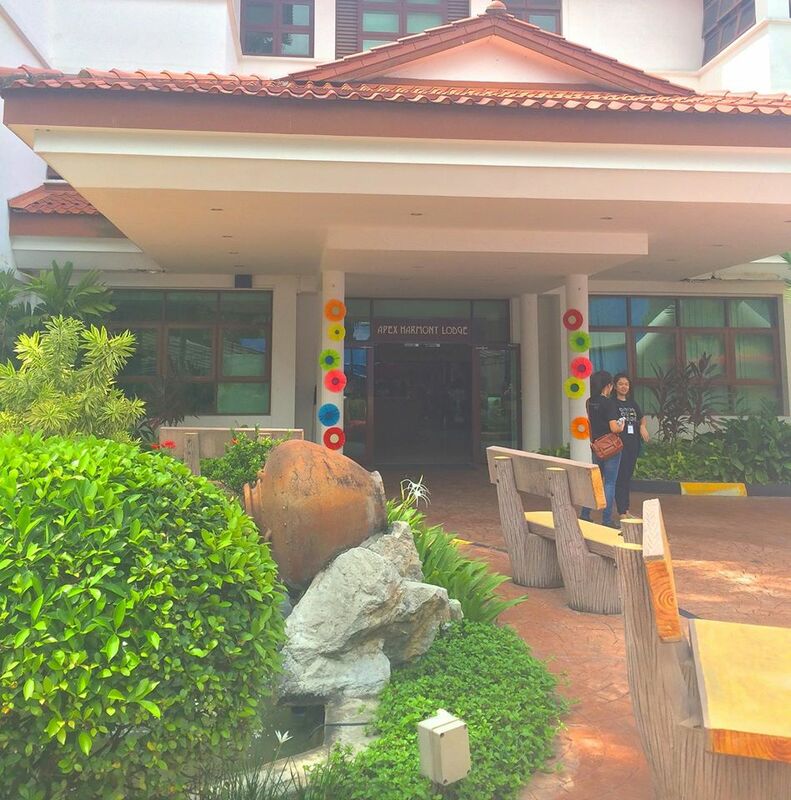 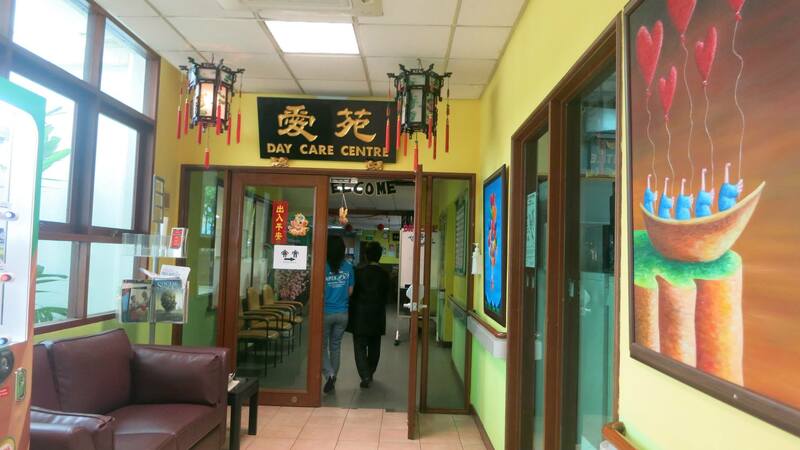 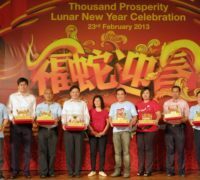 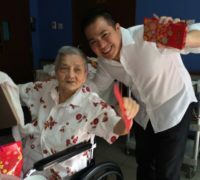 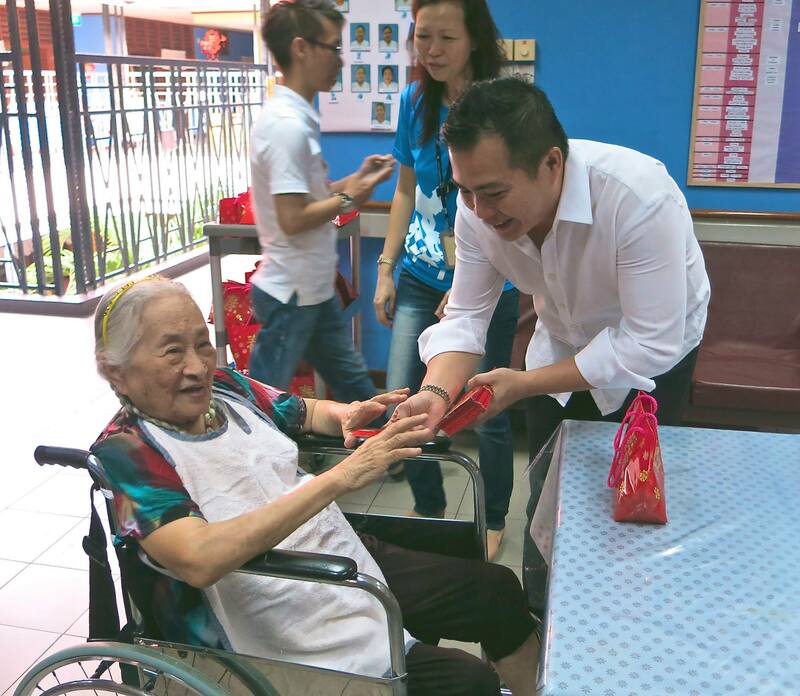 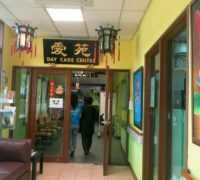 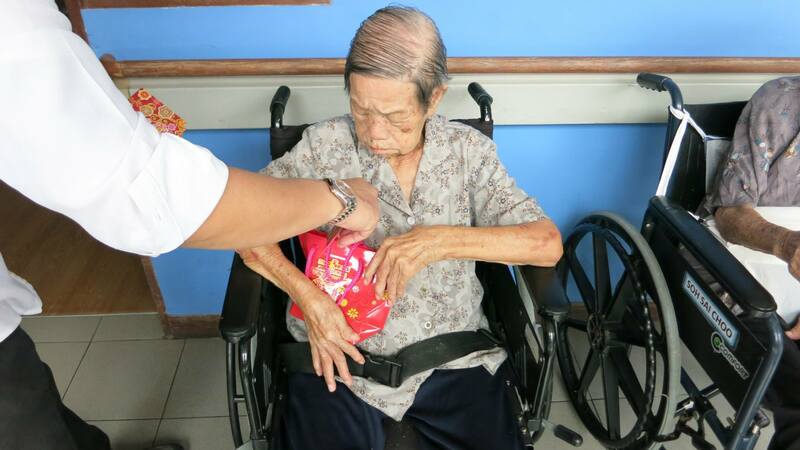 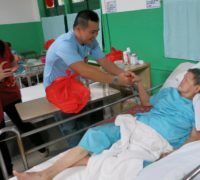 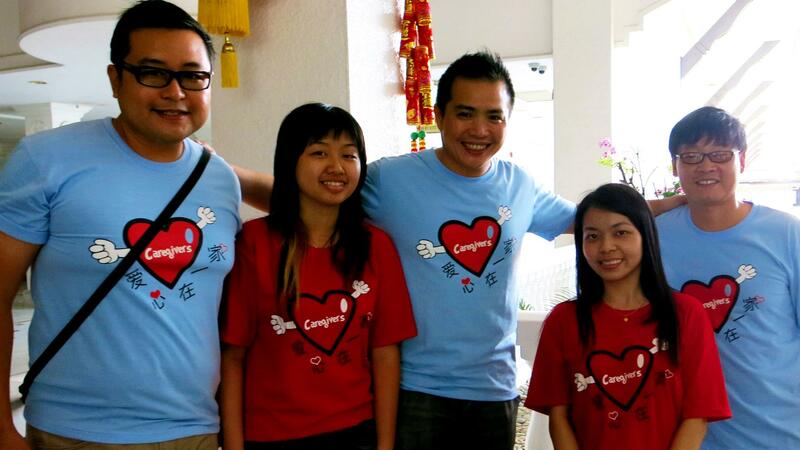 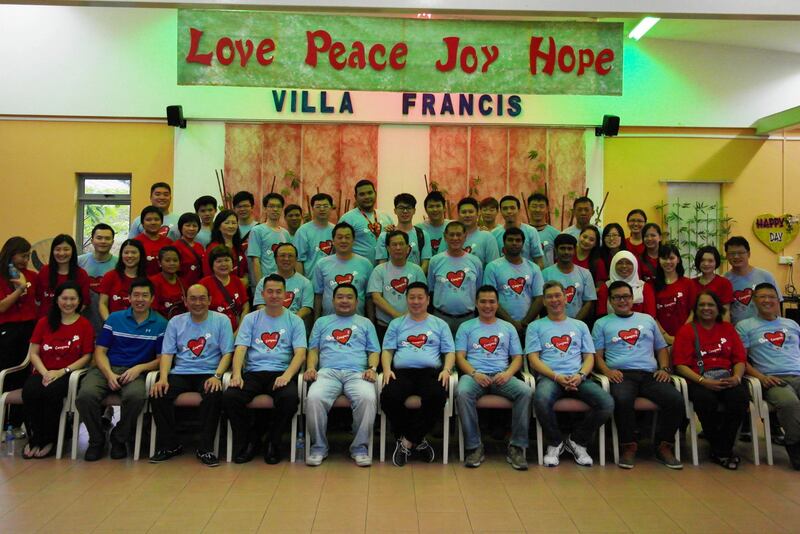 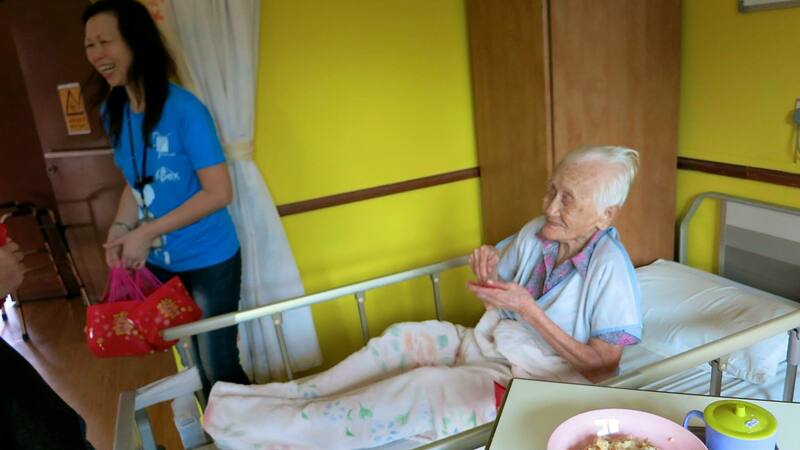 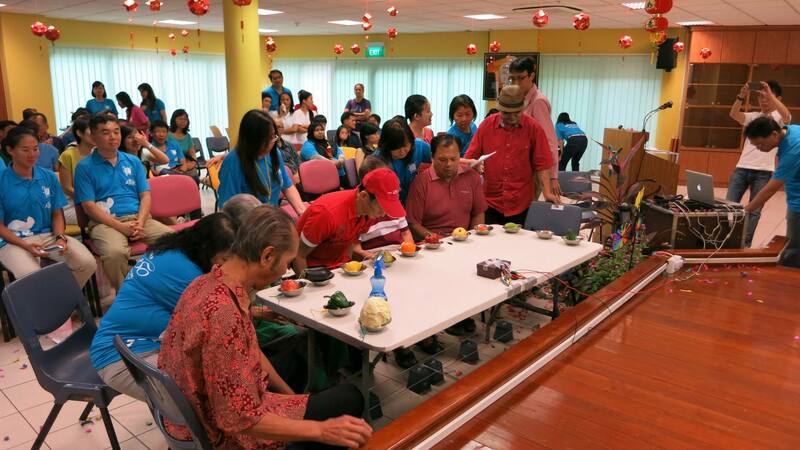 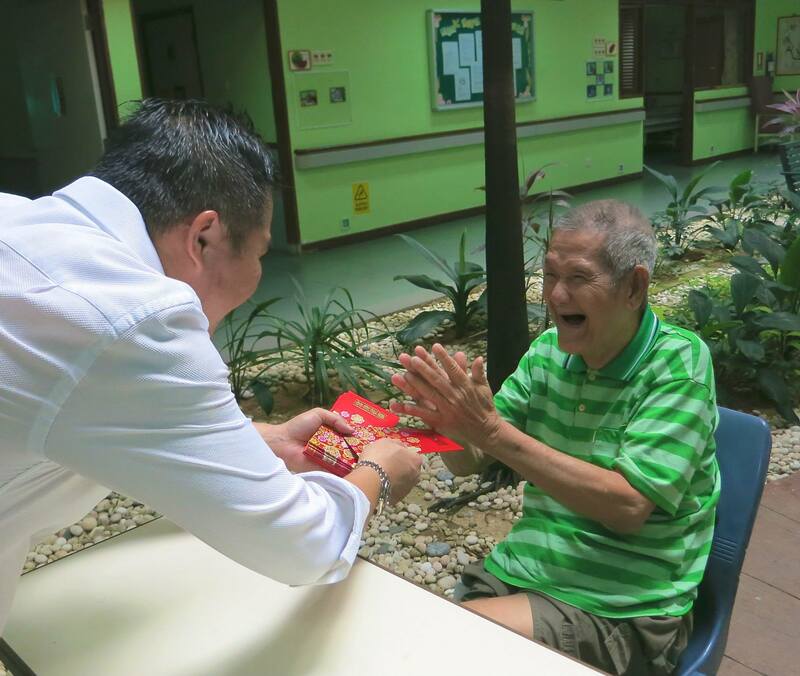 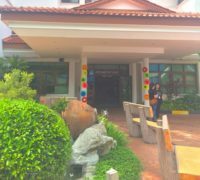 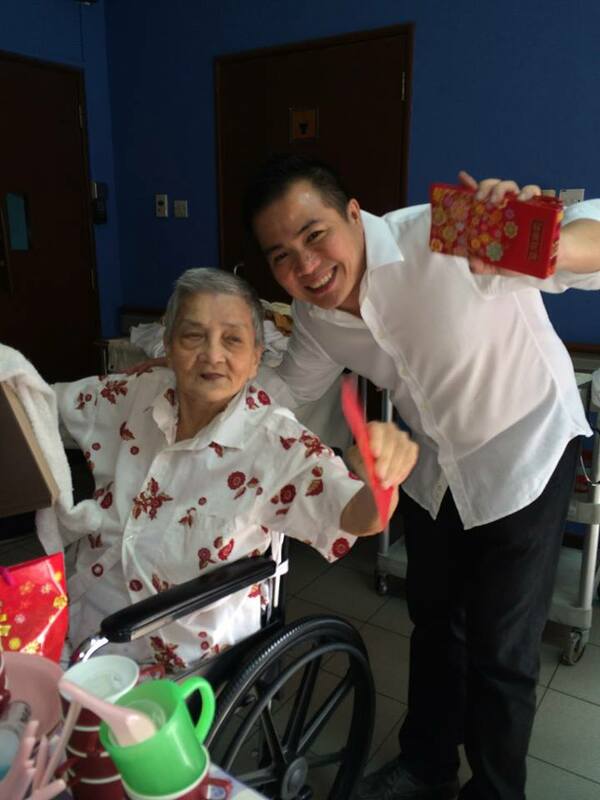 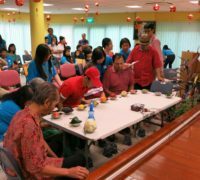 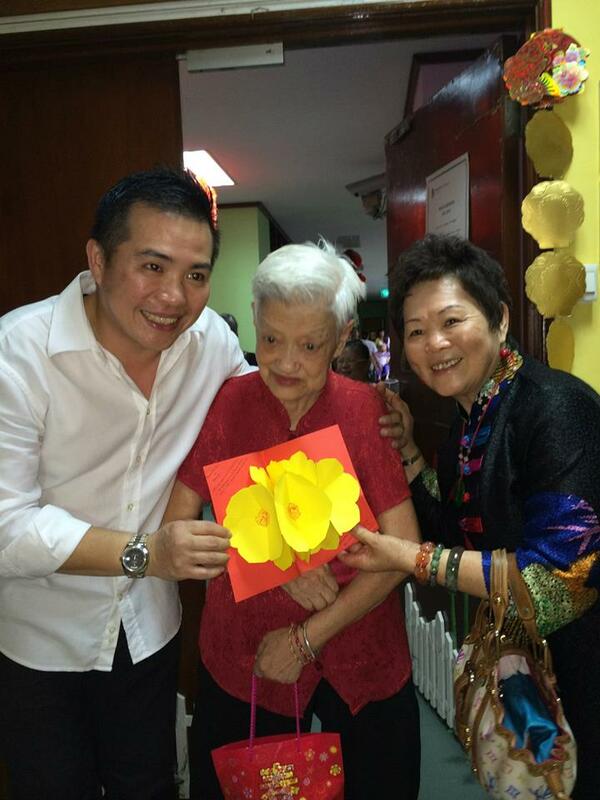 As most of us are preparing to celebrate Chinese New Year, We also took this opportunity to share the joy and happiness with the folks in The Apex Harmony Lodge(AHL) with our presence and at the same time presenting them Hong Bao (Red Packets) to wish them the best of health. 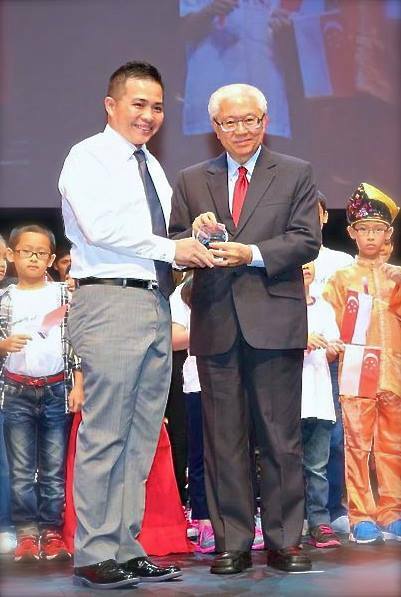 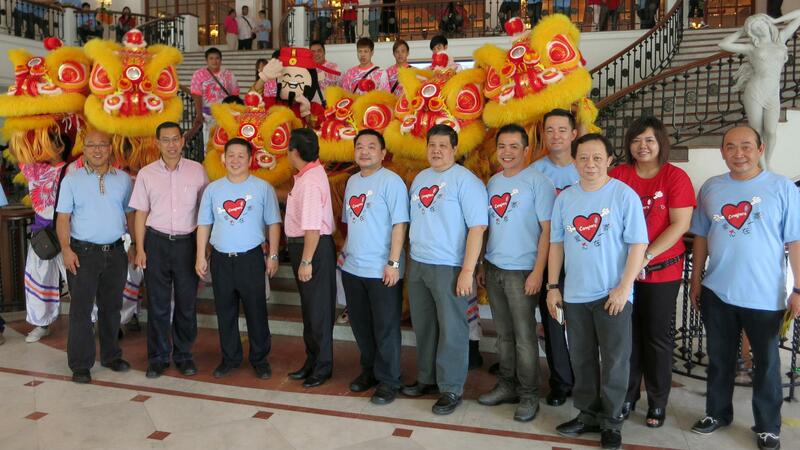 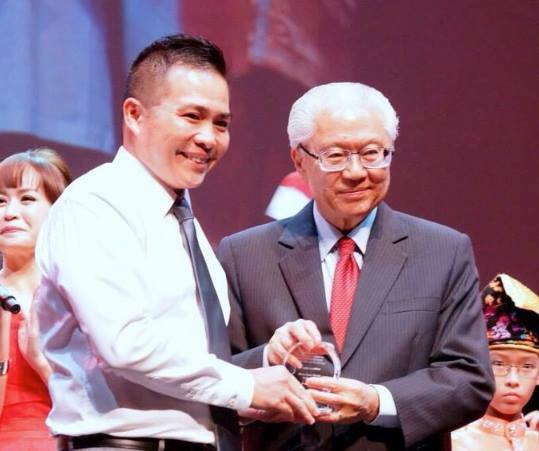 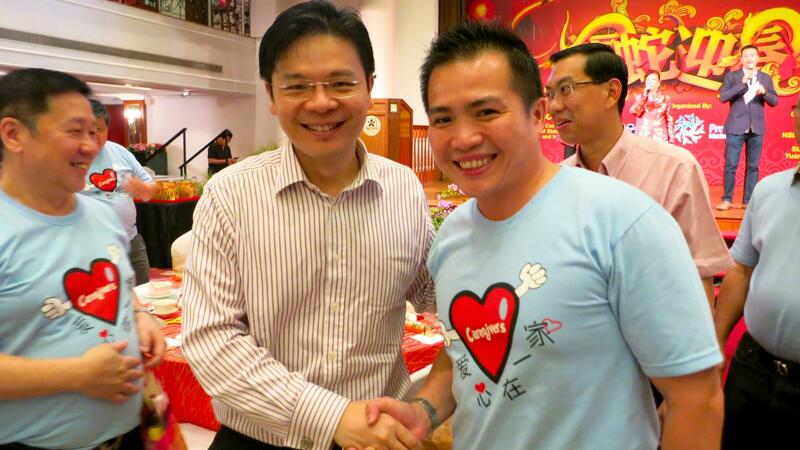 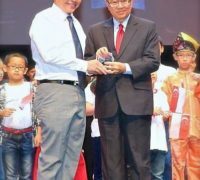 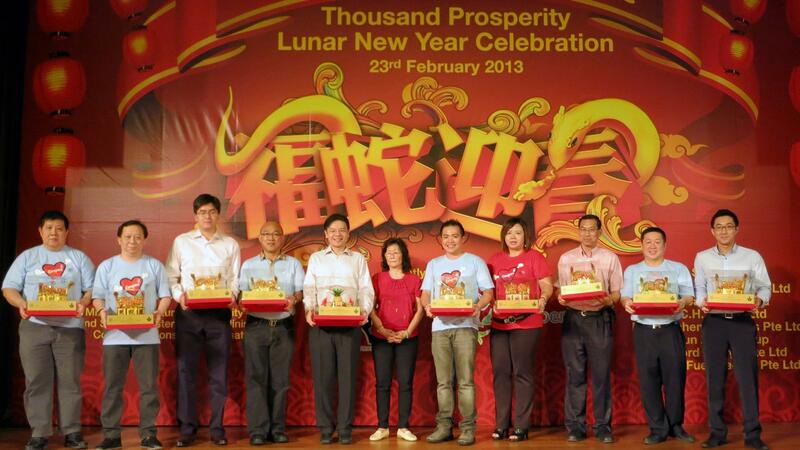 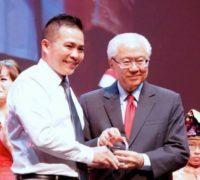 Shun Zhou Group receiving appreciation from His Excellency Tony Tan, President Republic of Singapore. 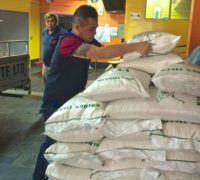 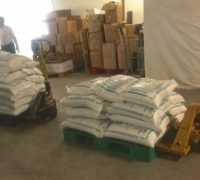 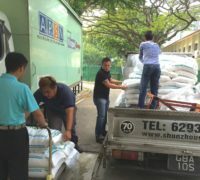 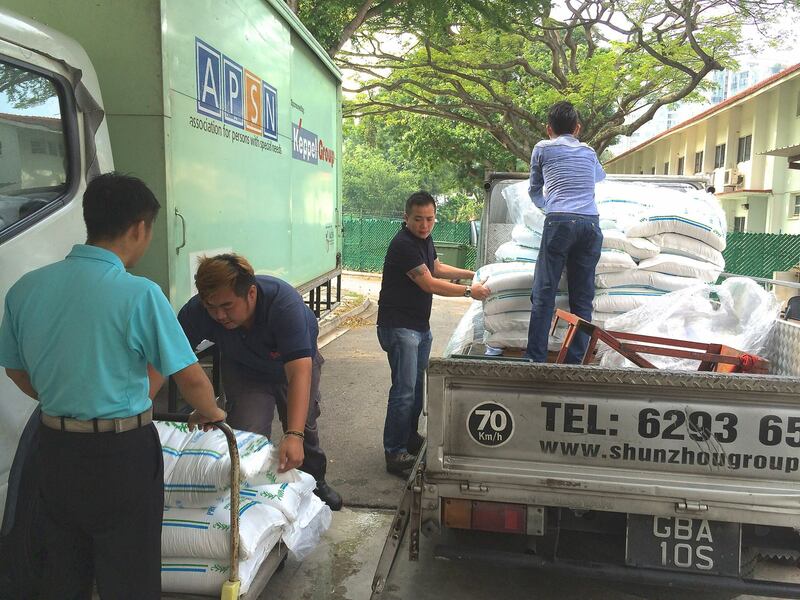 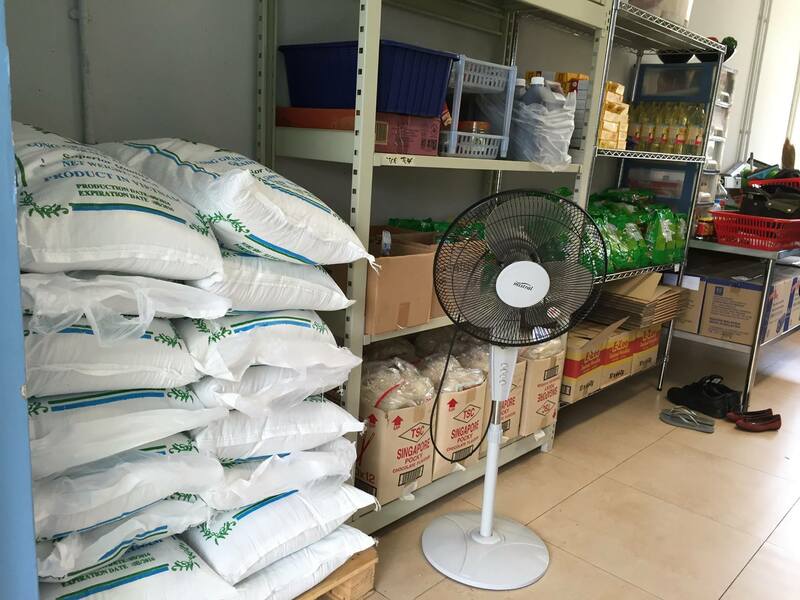 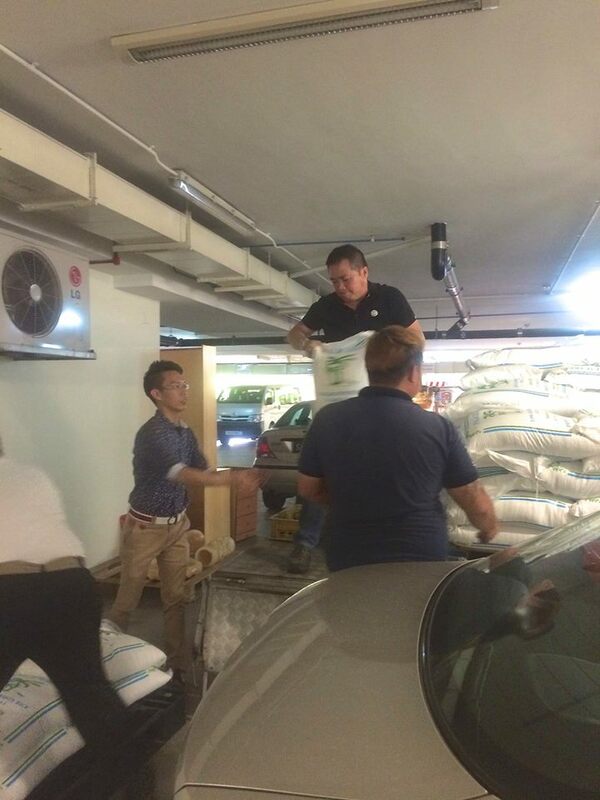 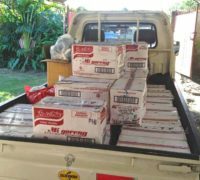 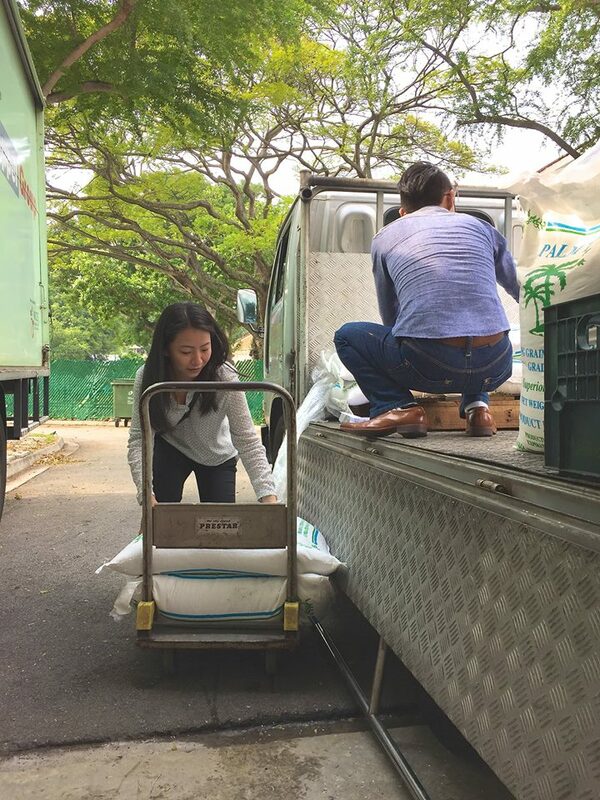 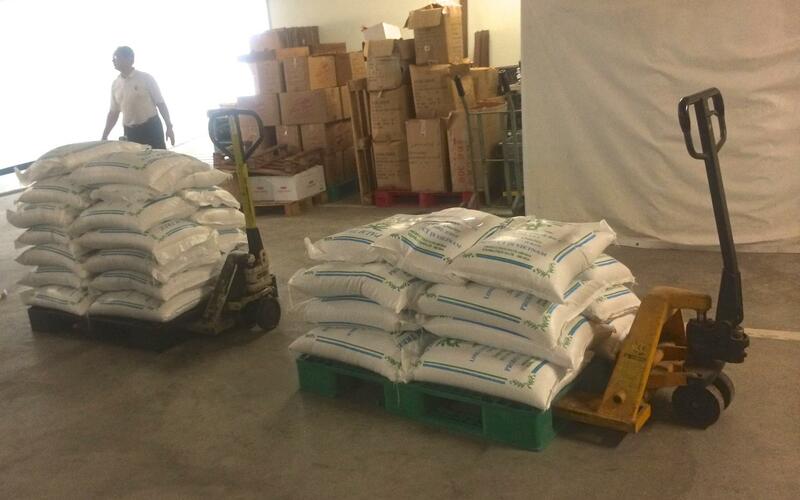 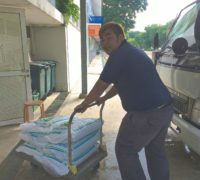 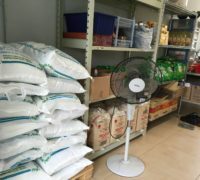 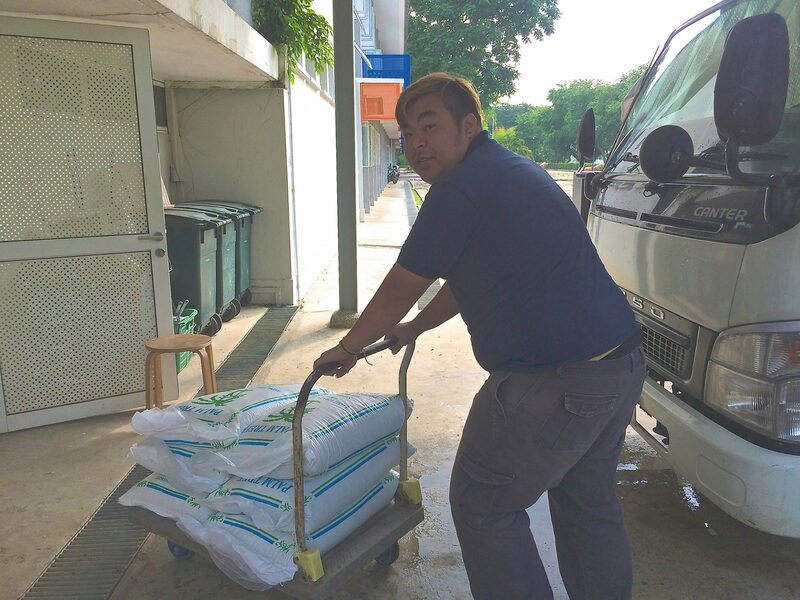 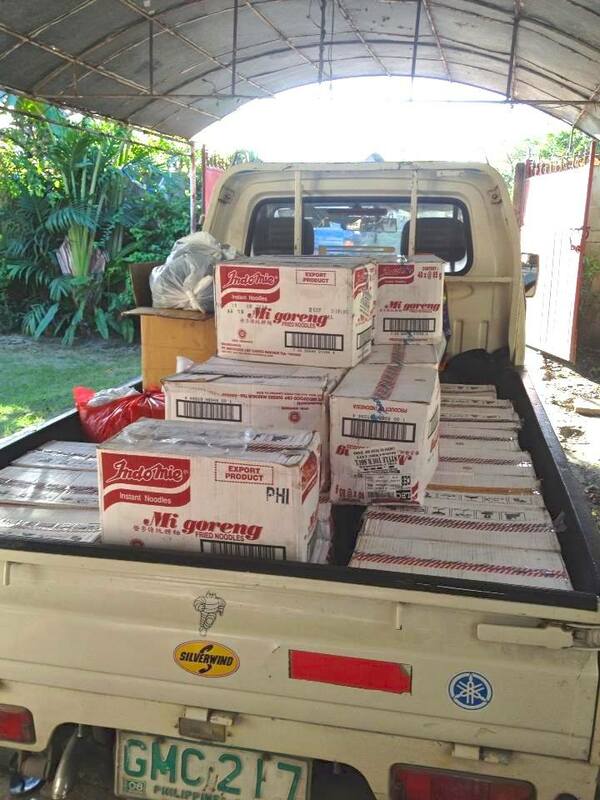 Donating rice to the Homes and the less privilege has been our practice for many years and this year we have contributed no less than 30 tons of white rice besides other necessities. 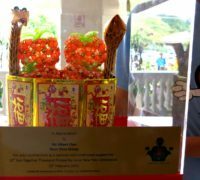 Like how the word “米” (rice) the cross in the middle symbolizes humanity and the 4 little strokes represent rice given out to the 4 corners of the world. 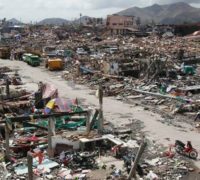 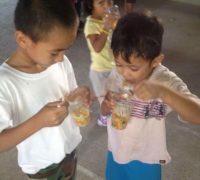 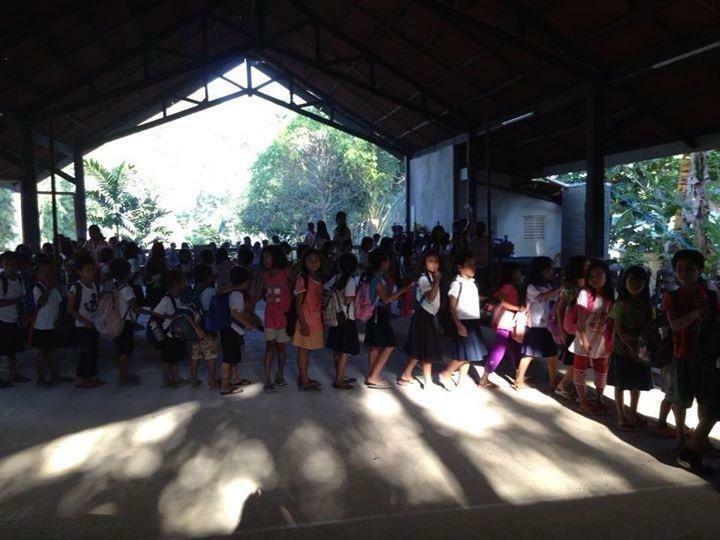 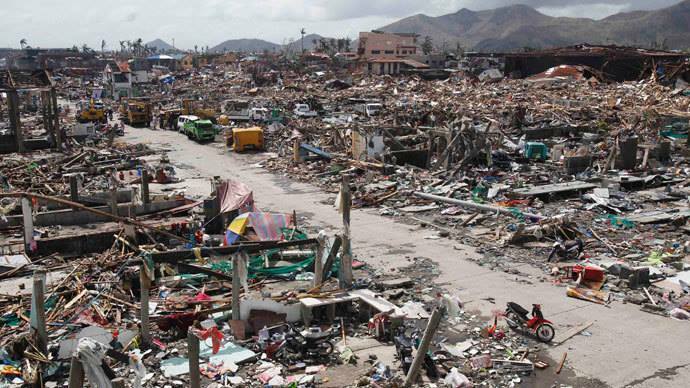 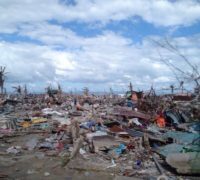 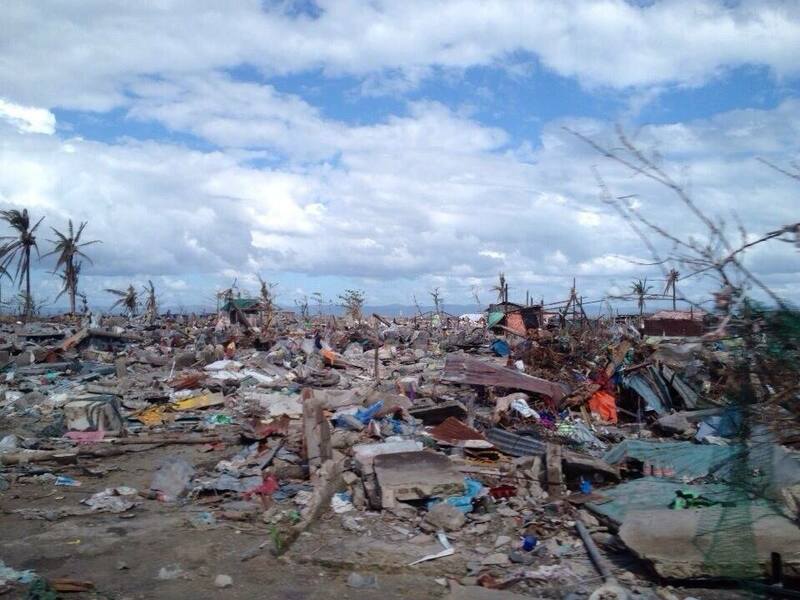 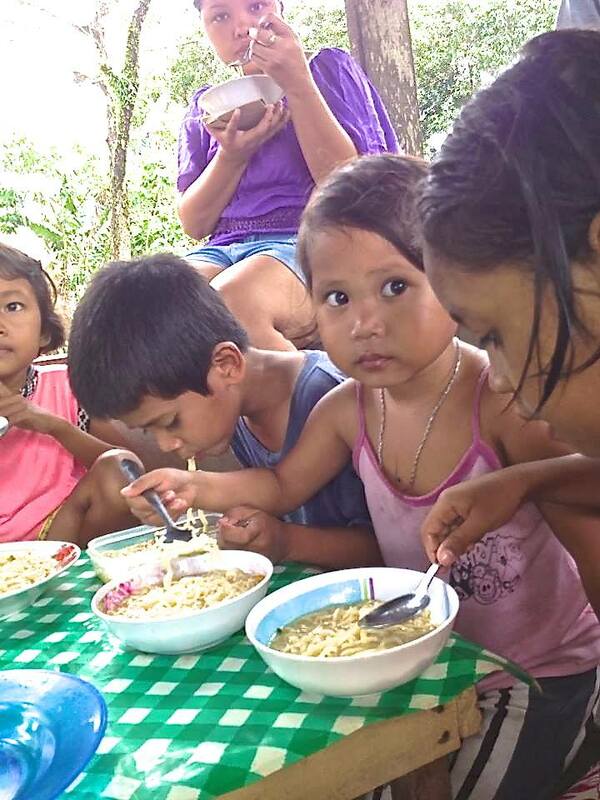 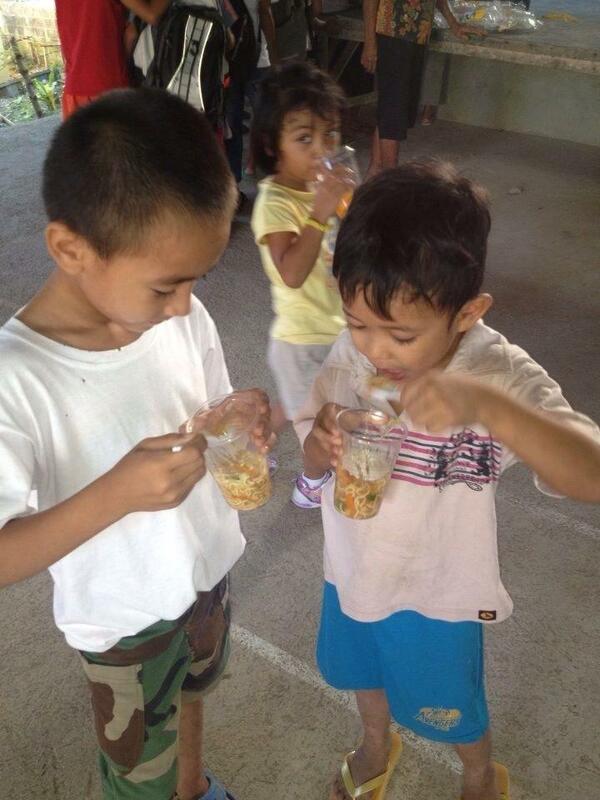 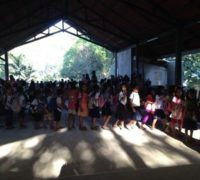 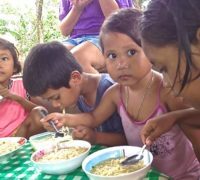 Many victims of Typhoon Haiyan in Tacloban are still homeless and do not even have shelters over their heads and have little food in their stomachs since the Category 5 typhoon attacked in November 2013. 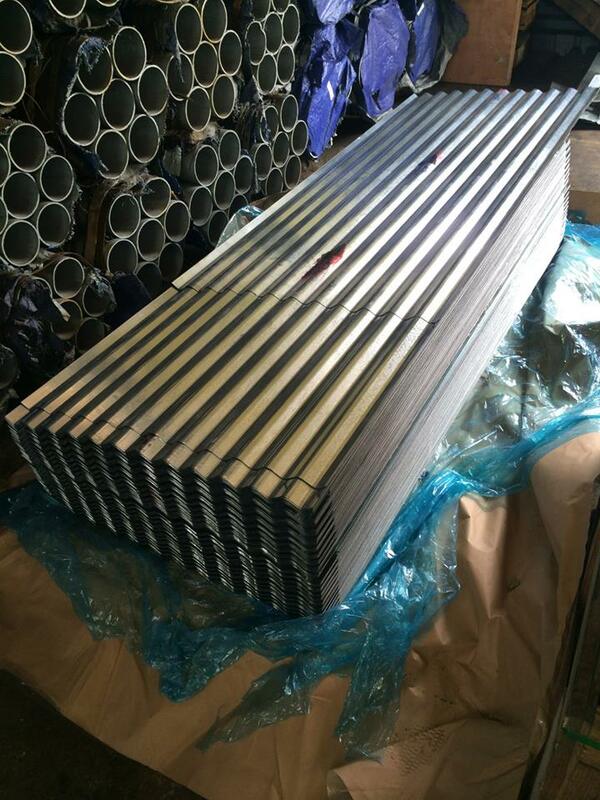 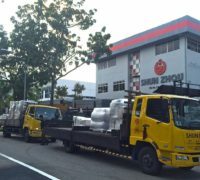 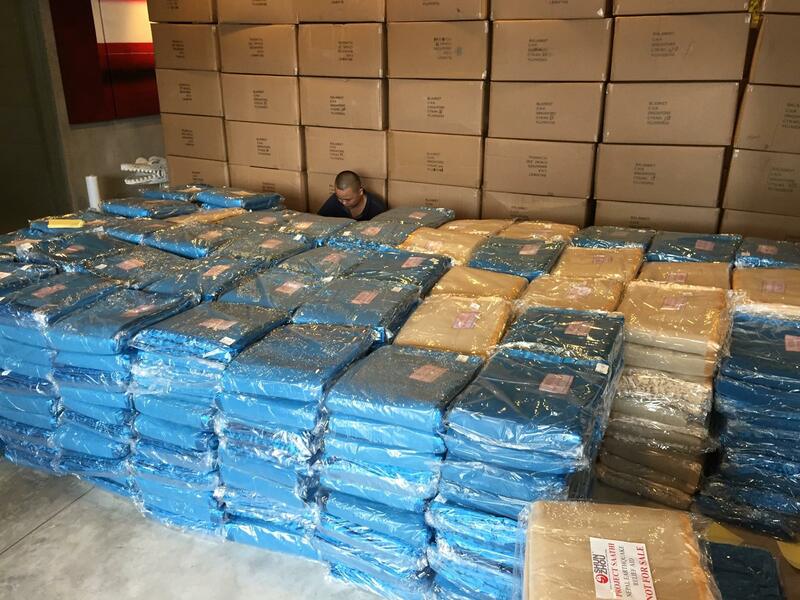 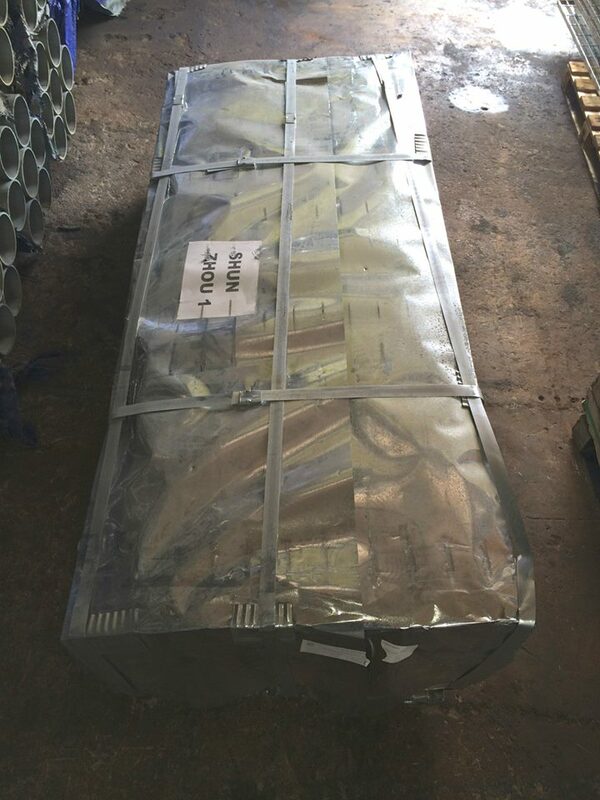 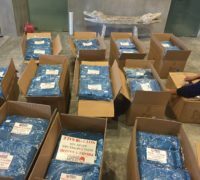 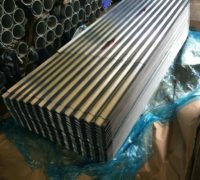 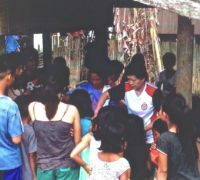 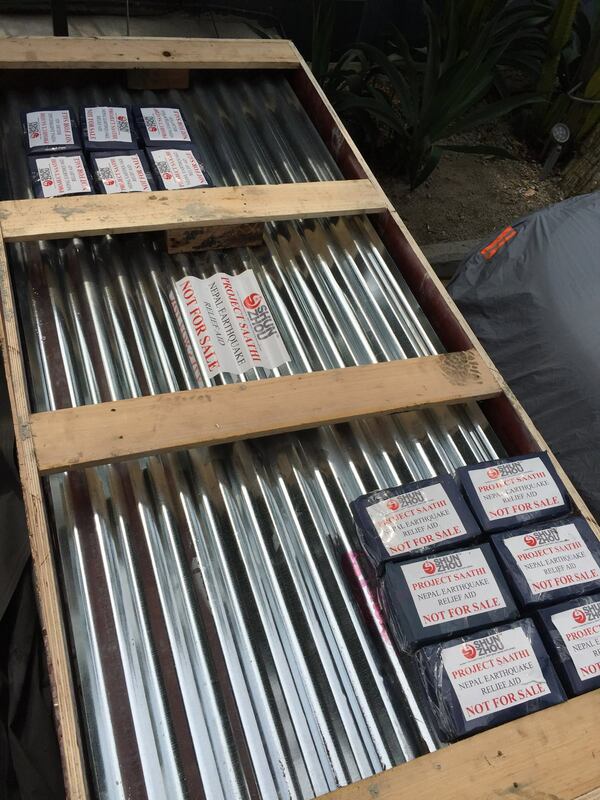 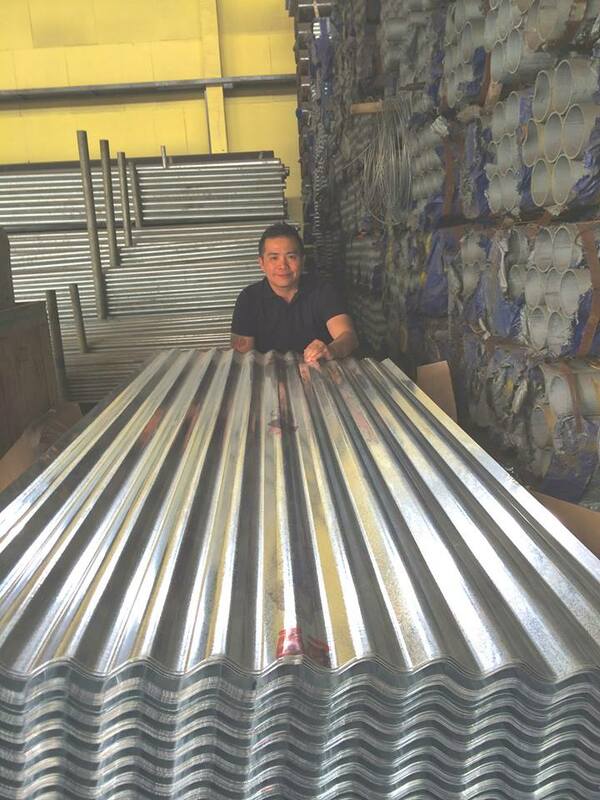 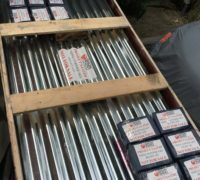 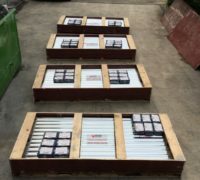 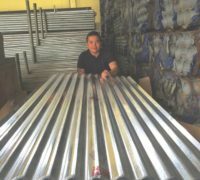 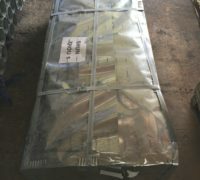 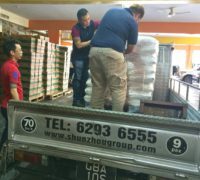 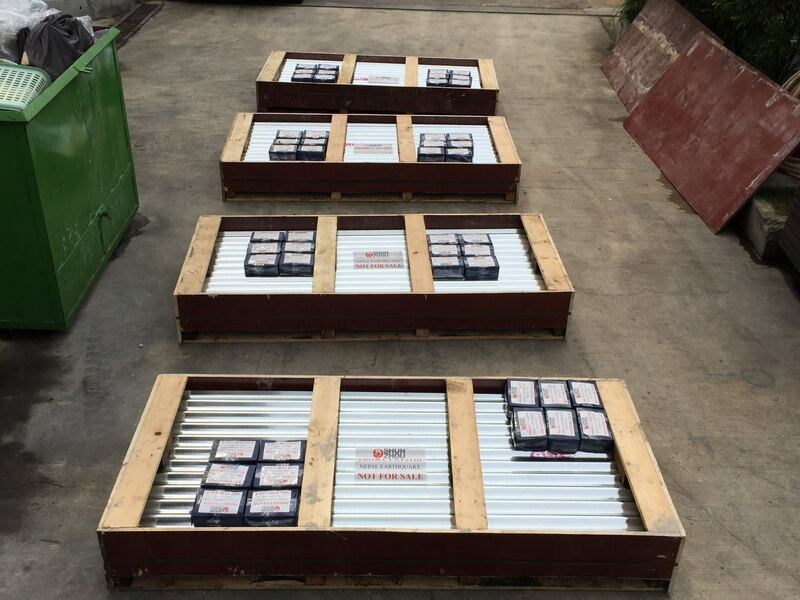 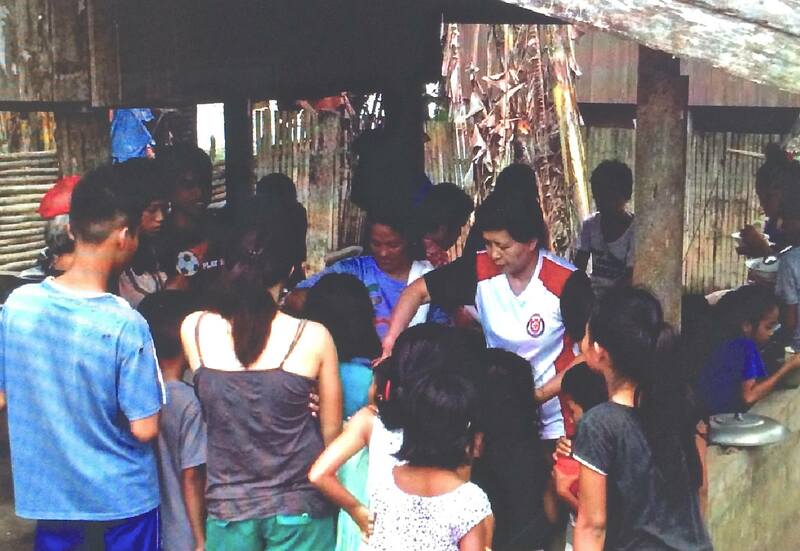 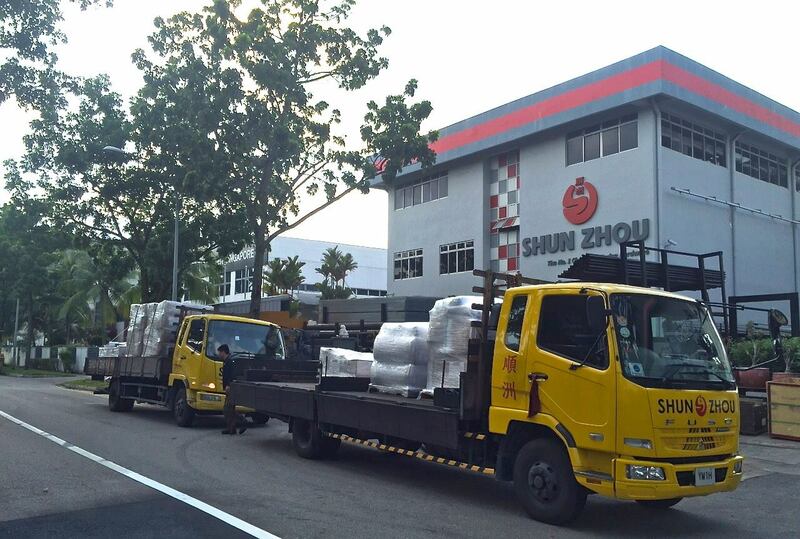 As little as we can do, Shun Zhou Group is sending 1000pcs of zinc roofing sheets for them to build shelters for the old folks and the children as these victims are the most vulnerable. 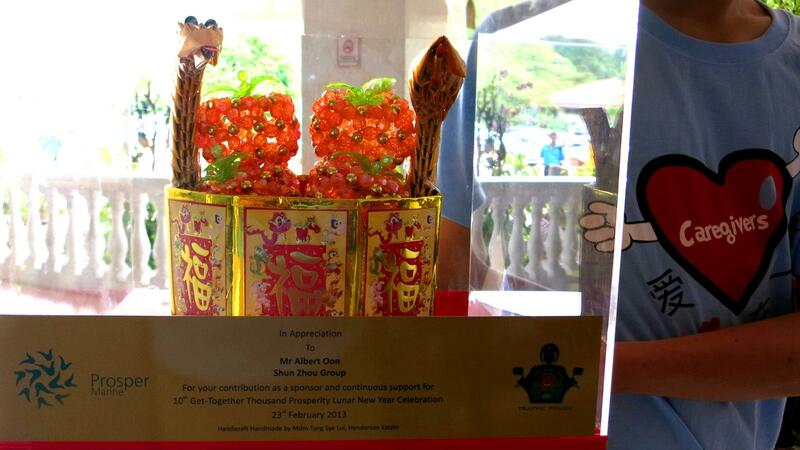 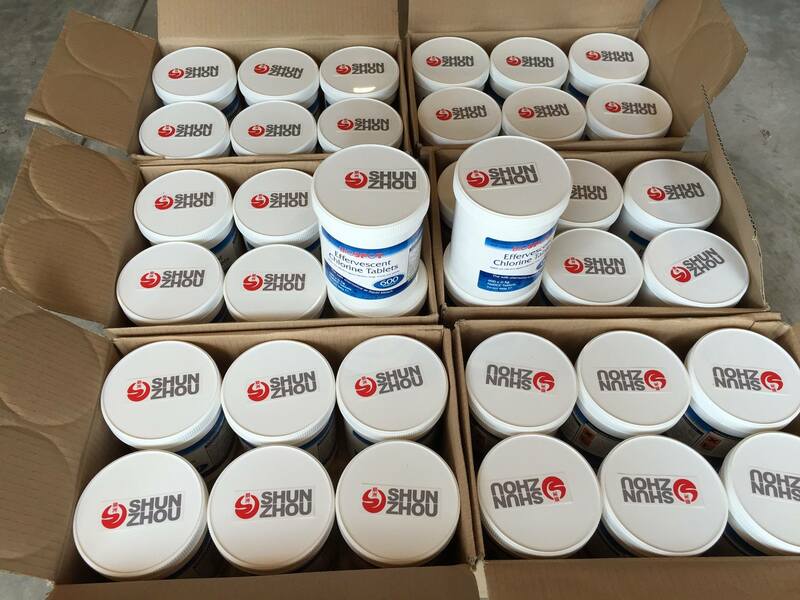 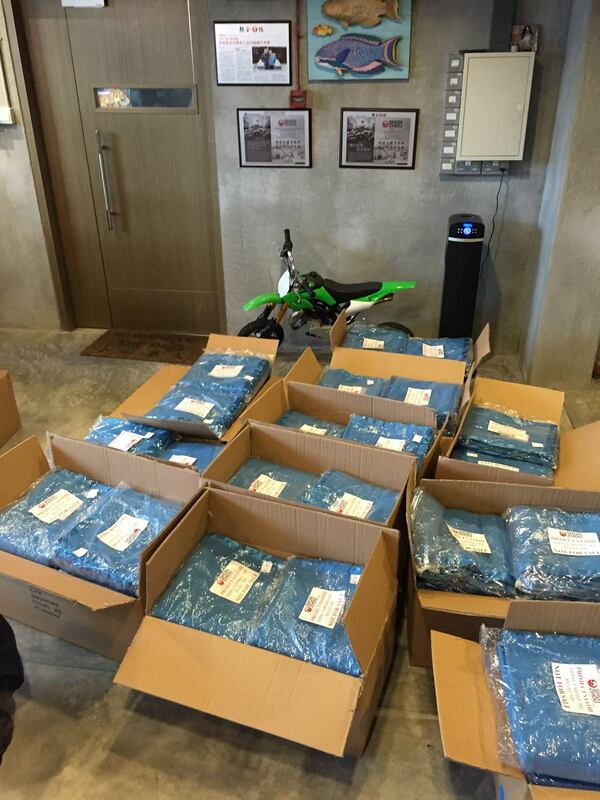 At Shun Zhou Group, we believe in the Chinese saying, 取之于社会, 用之于社会. 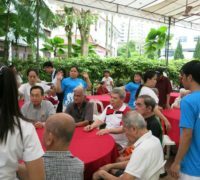 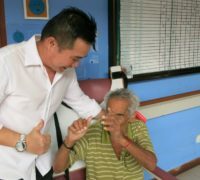 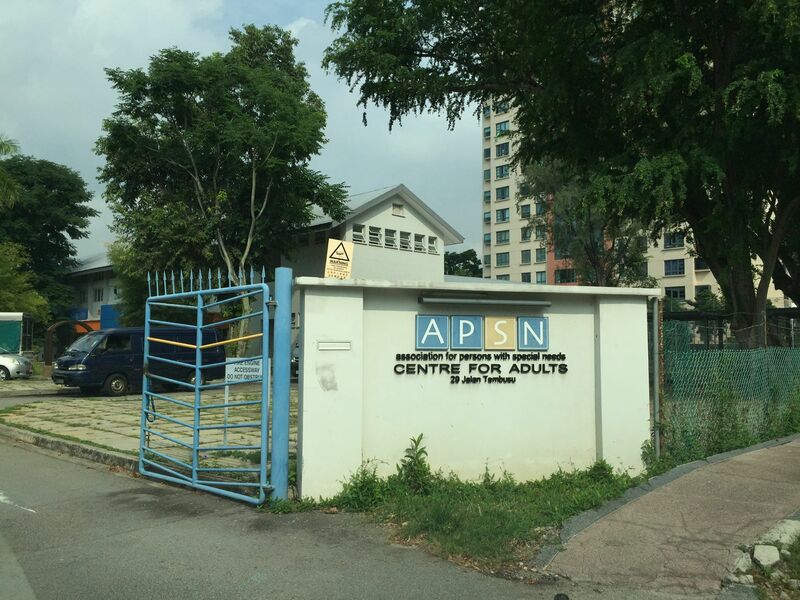 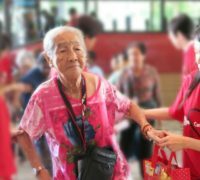 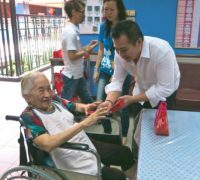 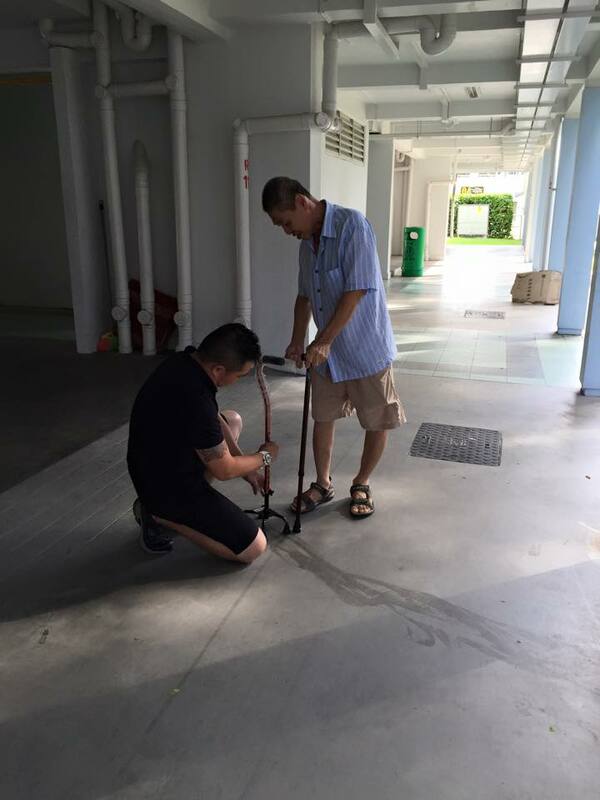 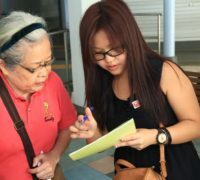 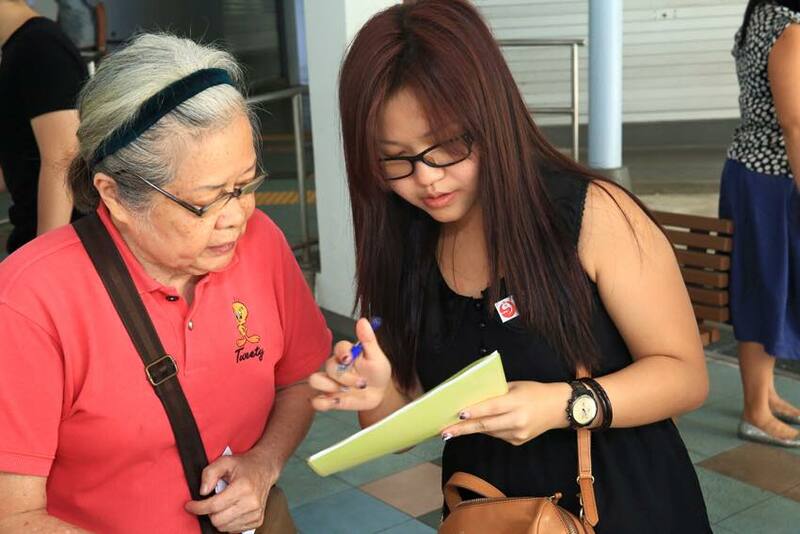 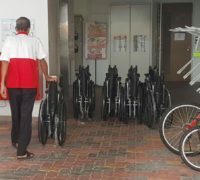 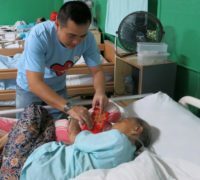 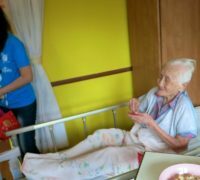 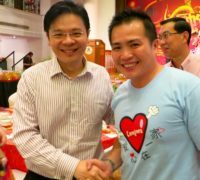 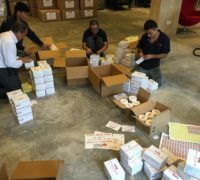 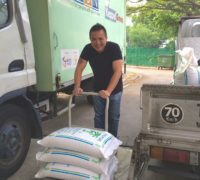 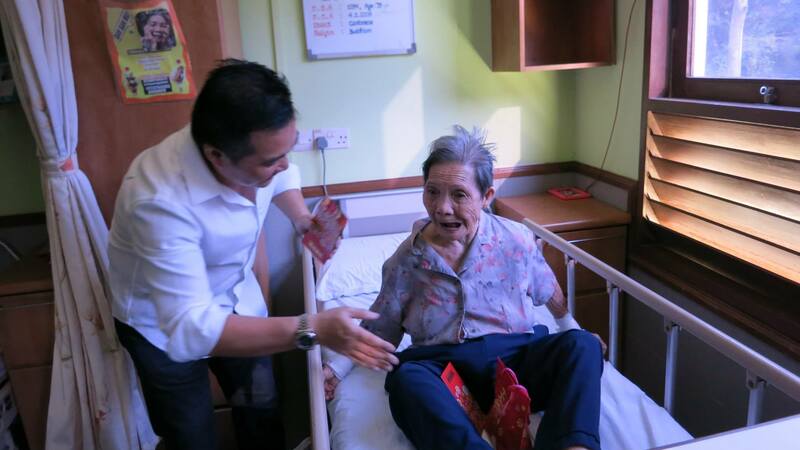 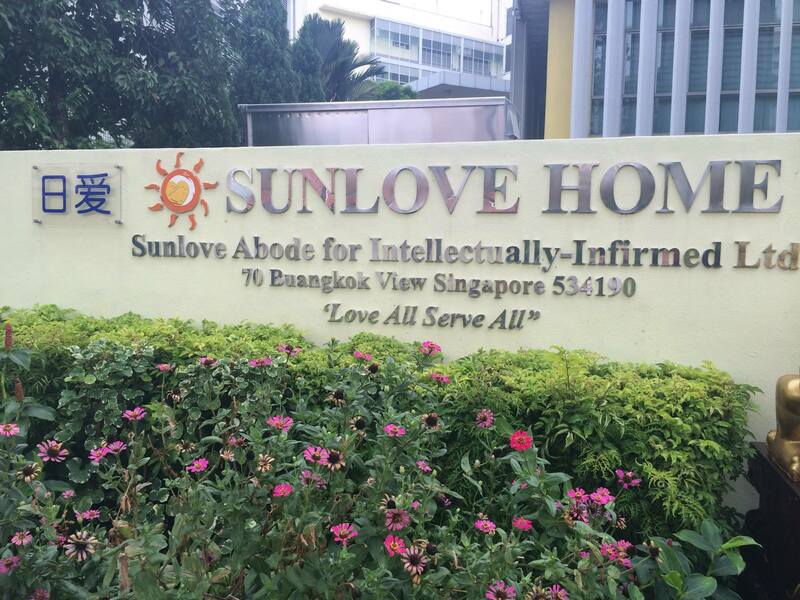 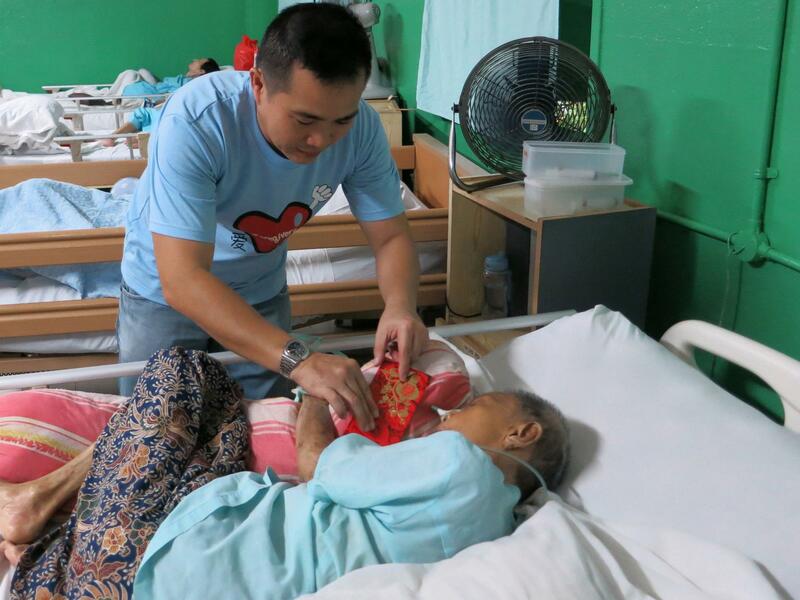 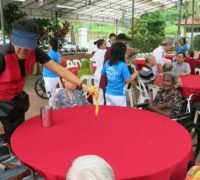 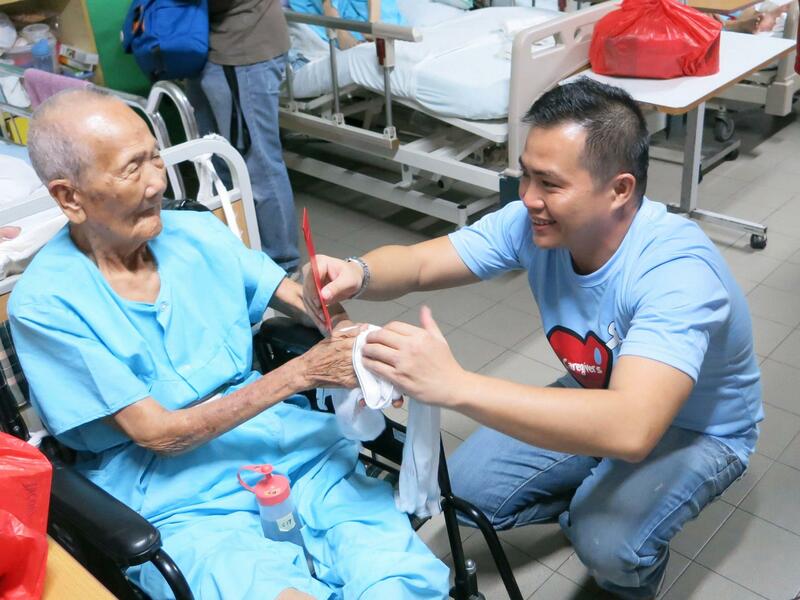 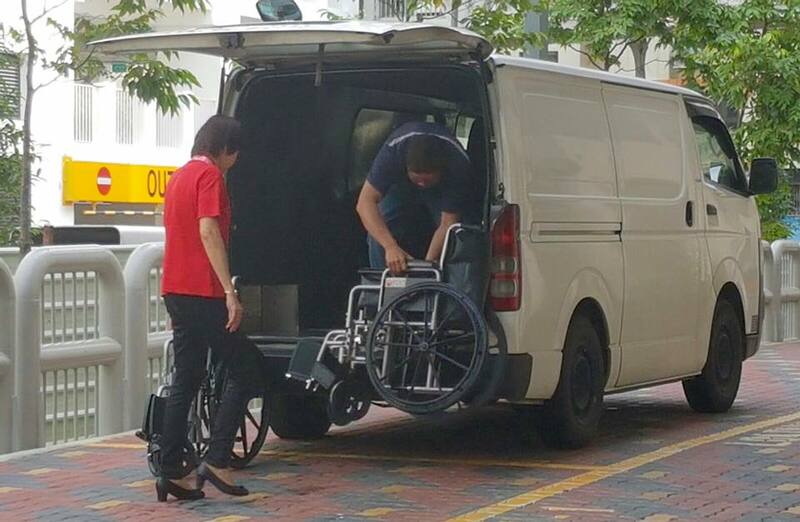 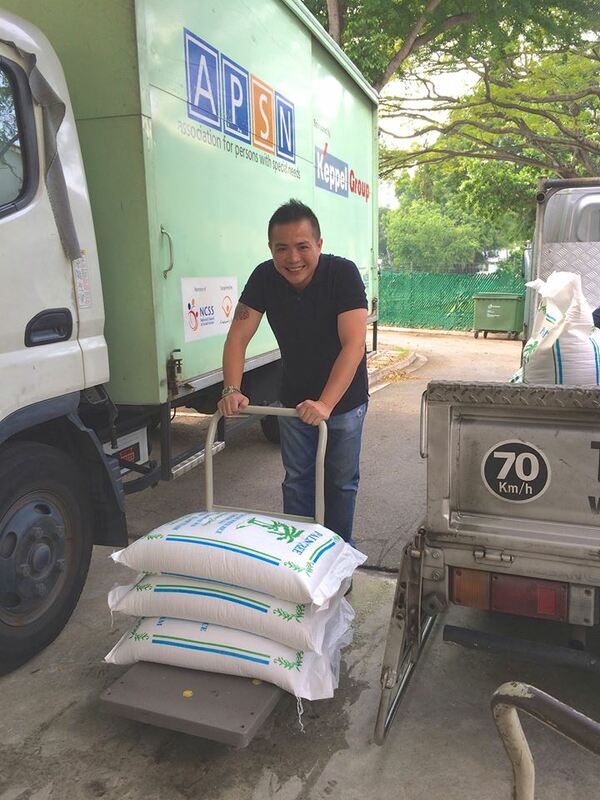 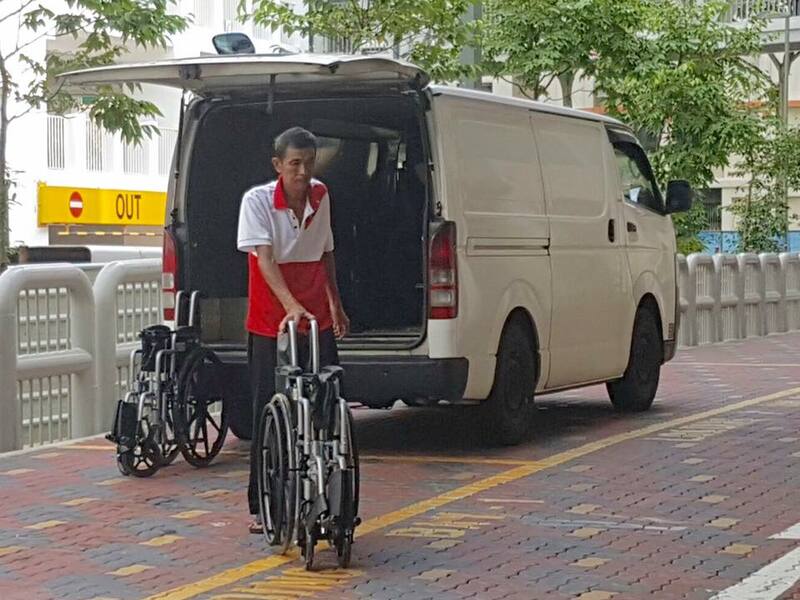 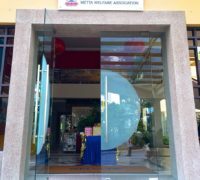 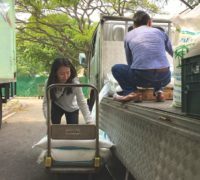 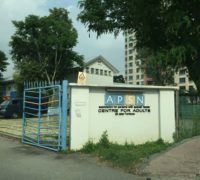 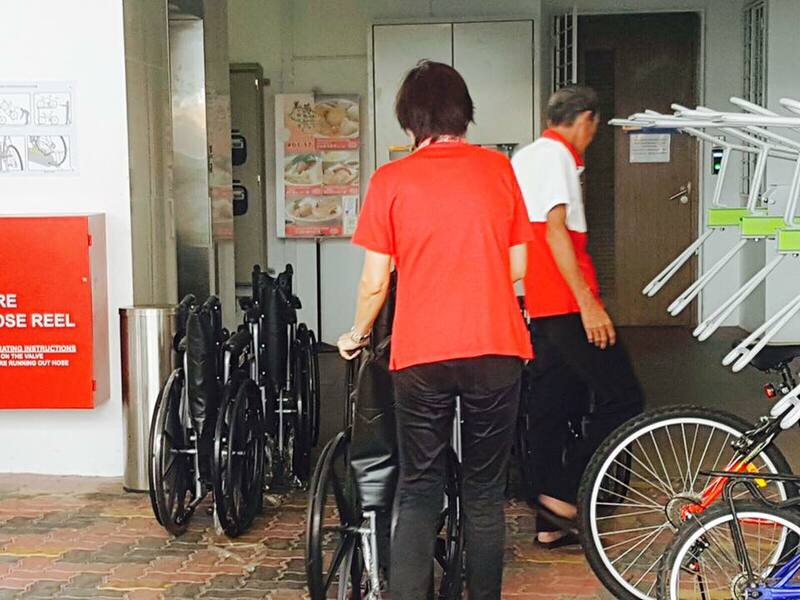 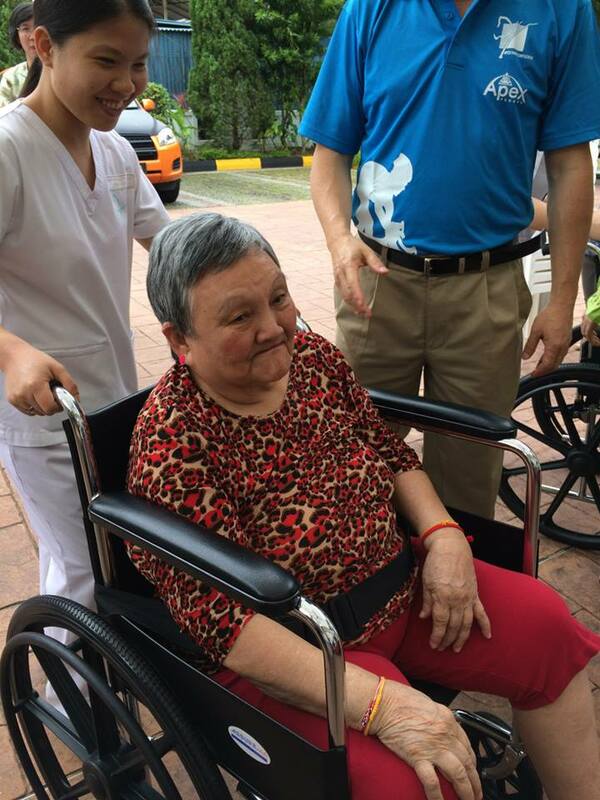 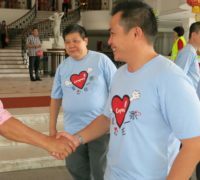 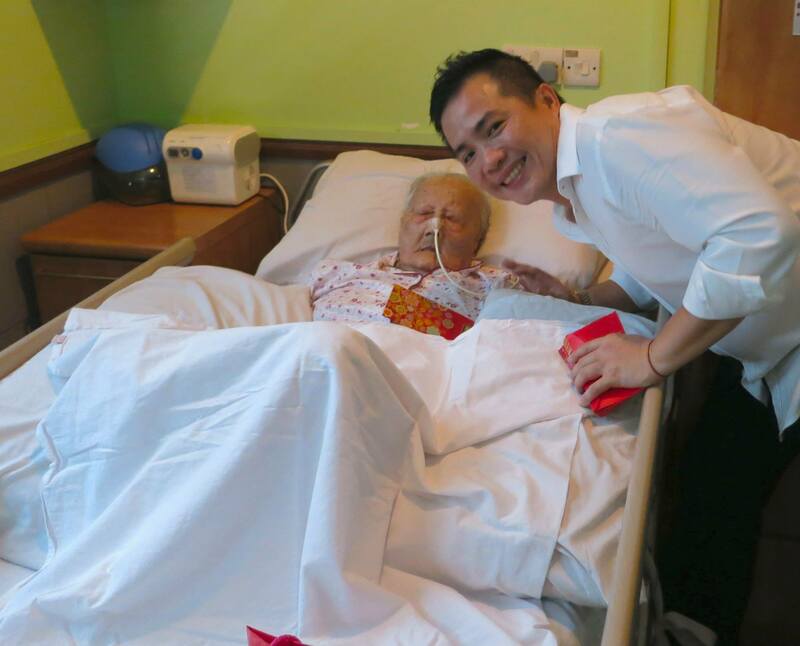 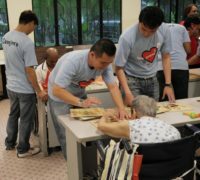 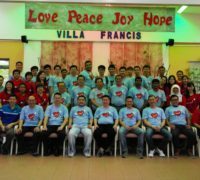 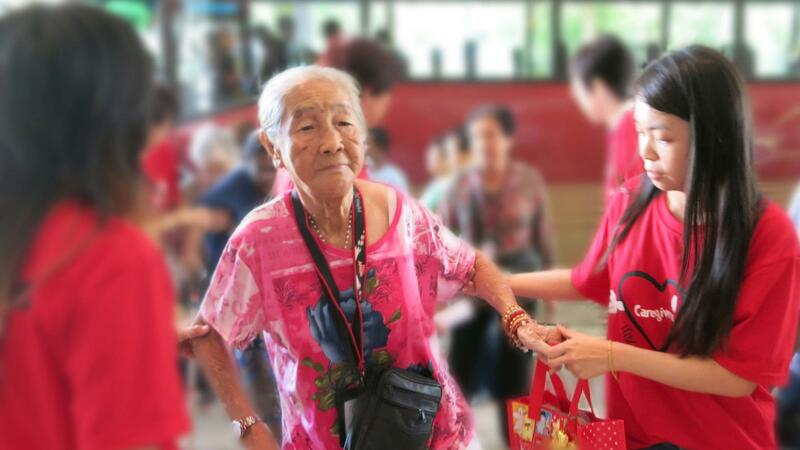 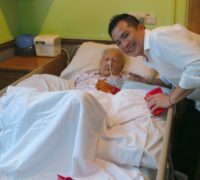 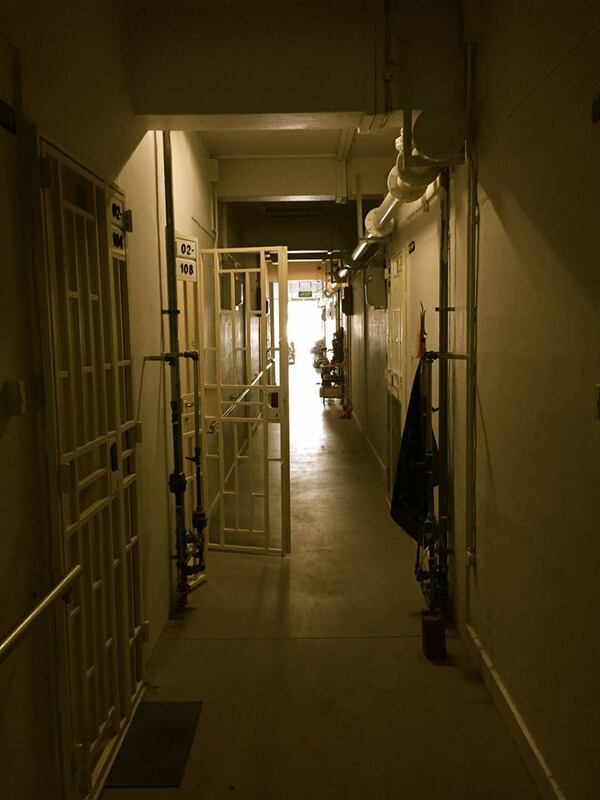 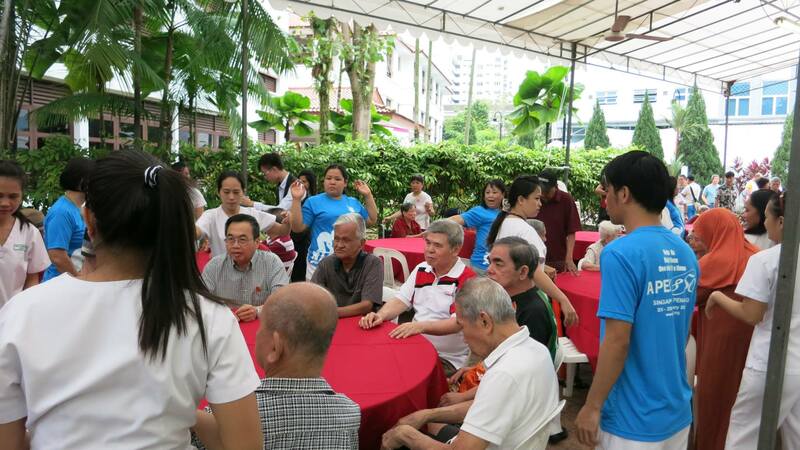 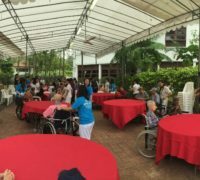 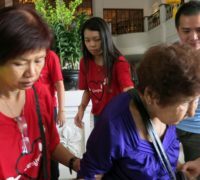 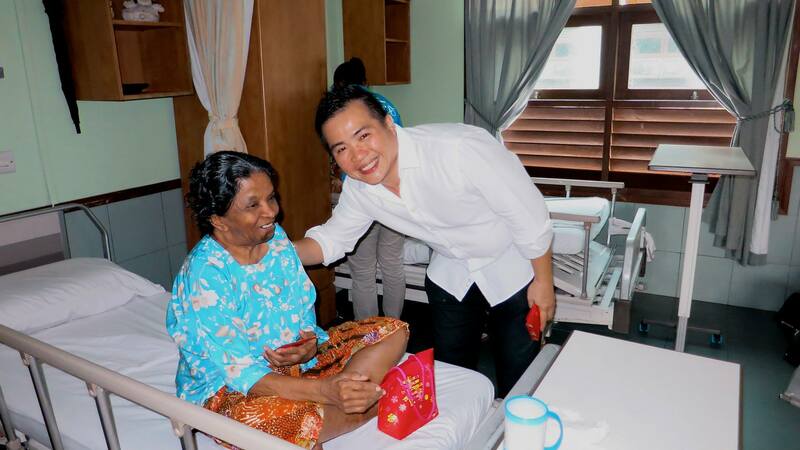 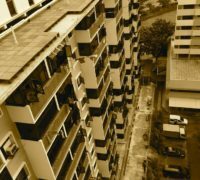 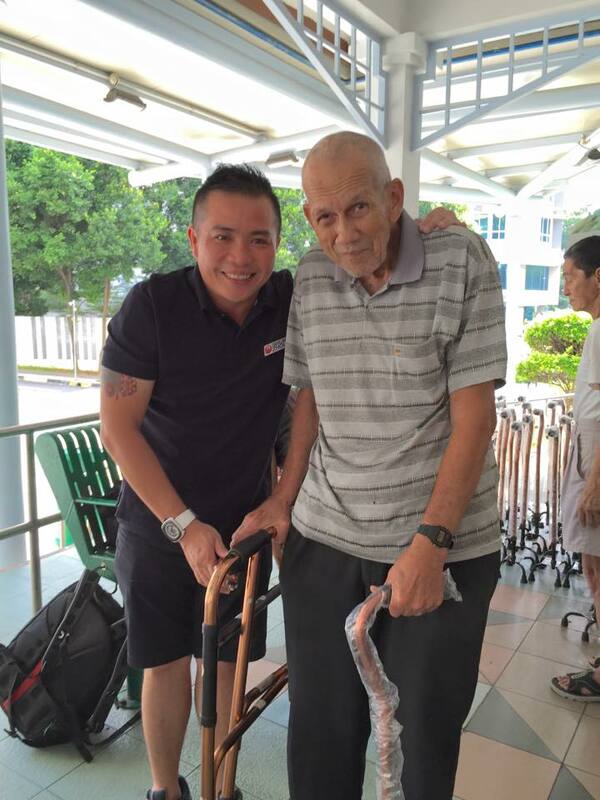 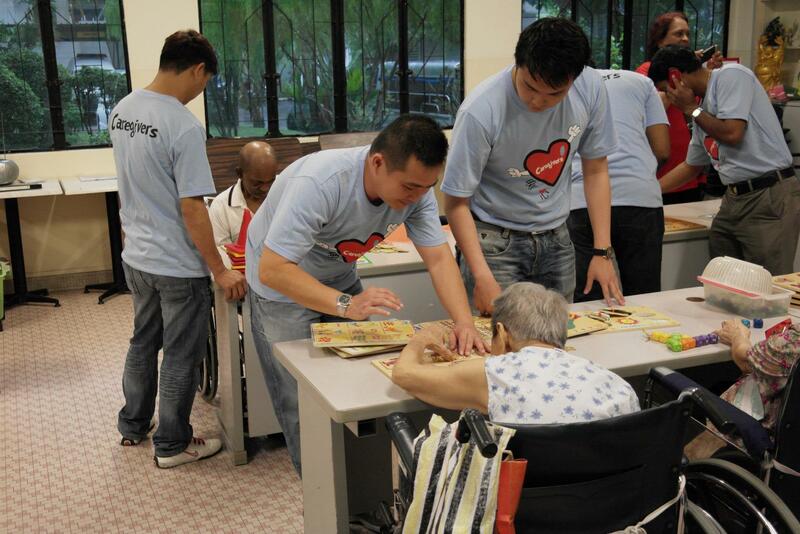 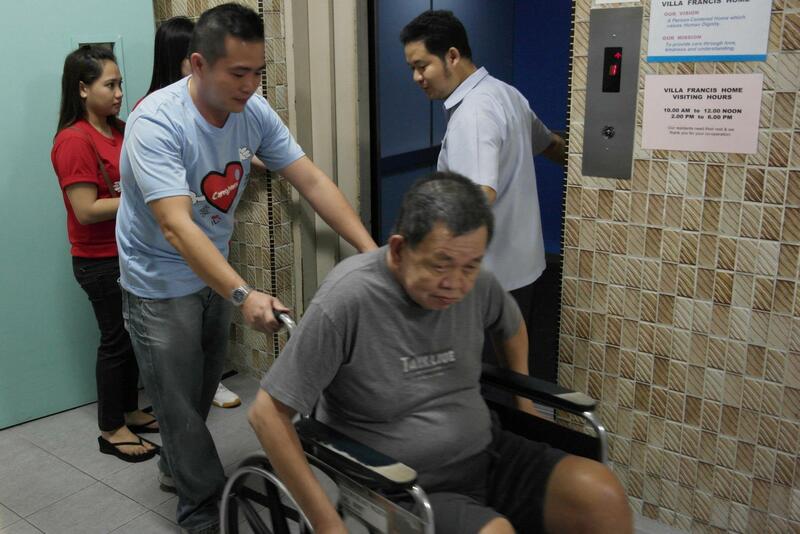 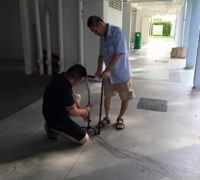 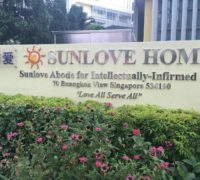 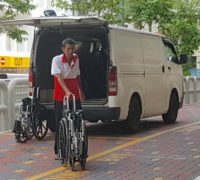 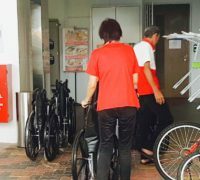 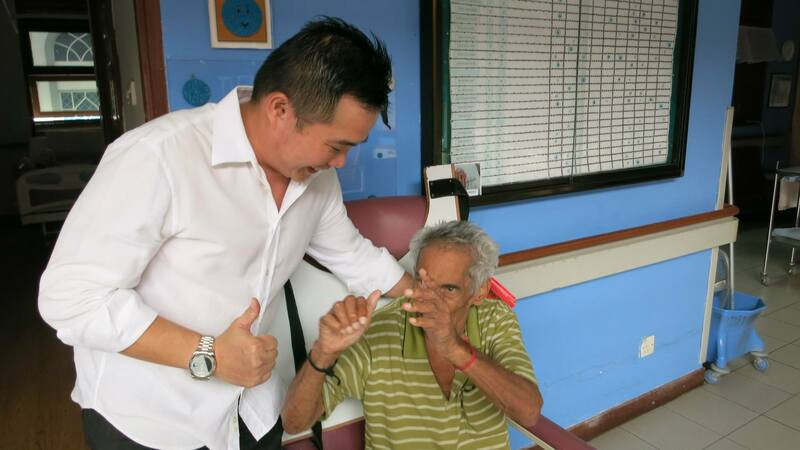 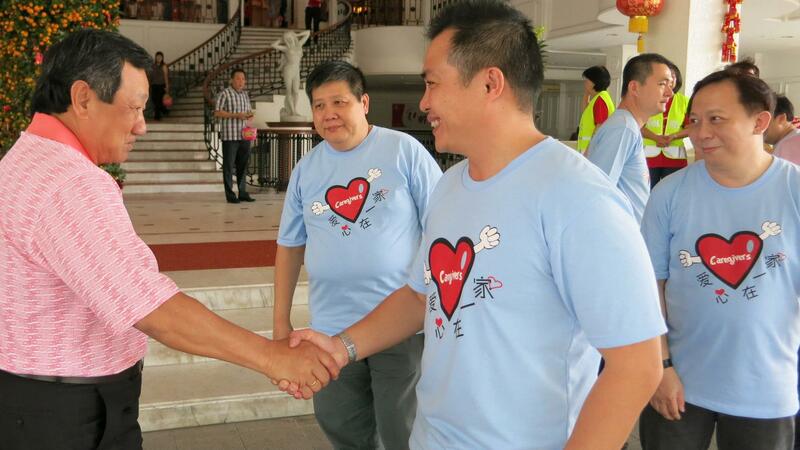 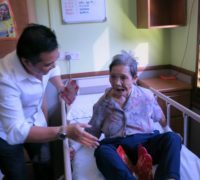 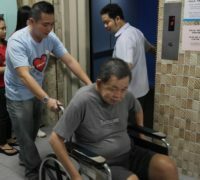 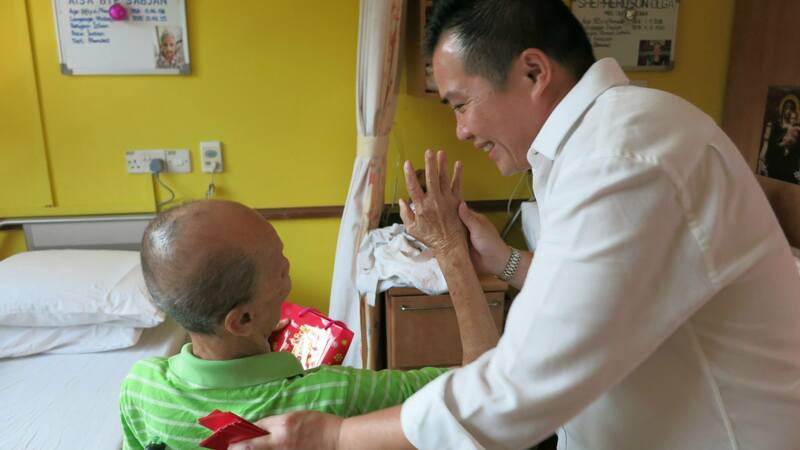 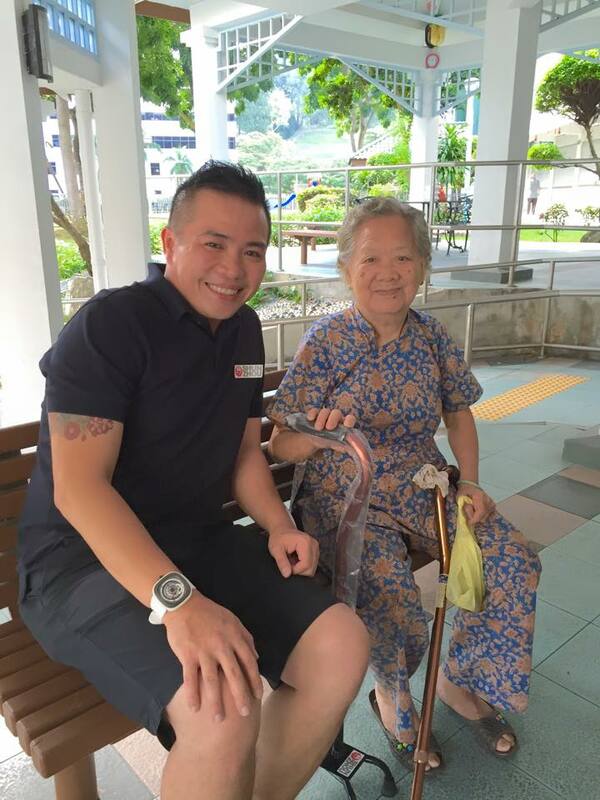 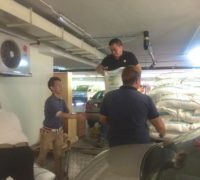 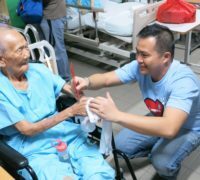 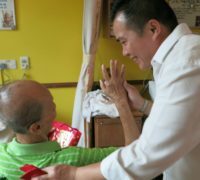 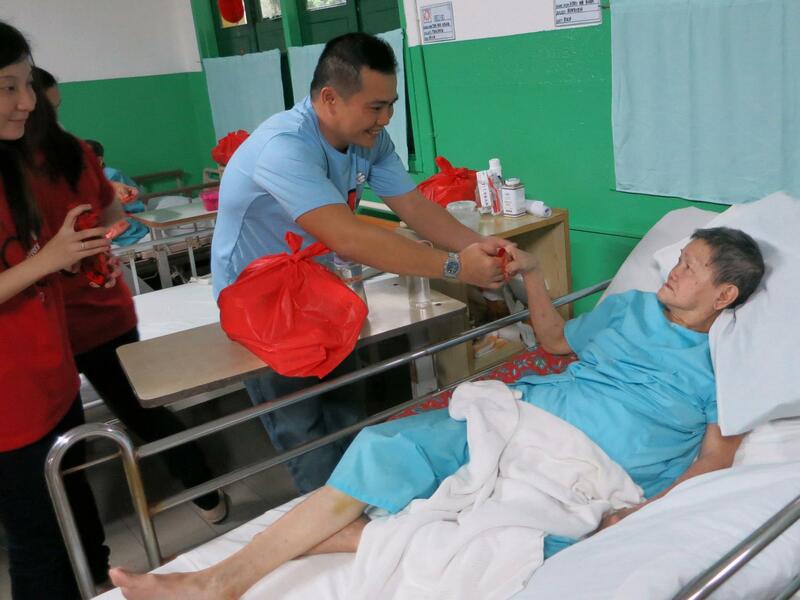 Other than focusing on making regular monetary donations to the charity organisations, our staff also does regular volunteer works led by our Managing Director, Mr. Albert Oon.